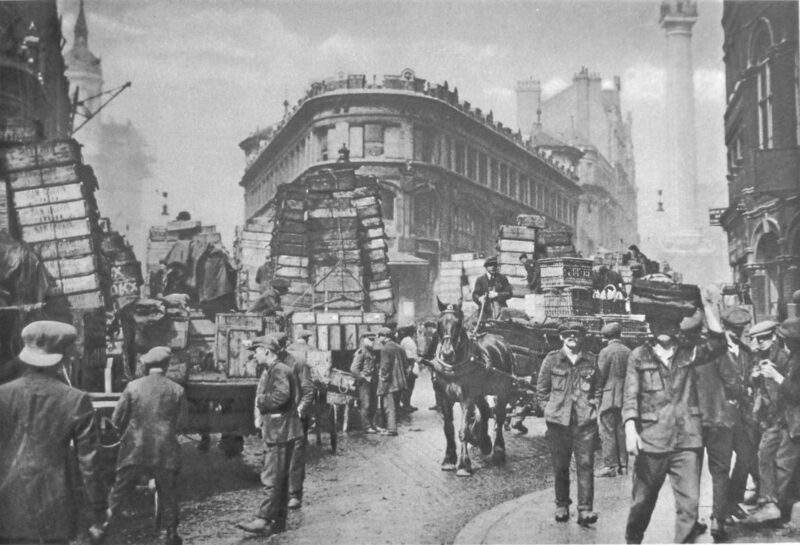 I have been collecting books about London for many years, my first purchase was in the mid 1970s in a second-hand bookshop in one of the alleys leading into Greenwich Market. It was H.V. Morton’s London, first published in 1940, a collection of three individual books published in the 1920s. H.V. 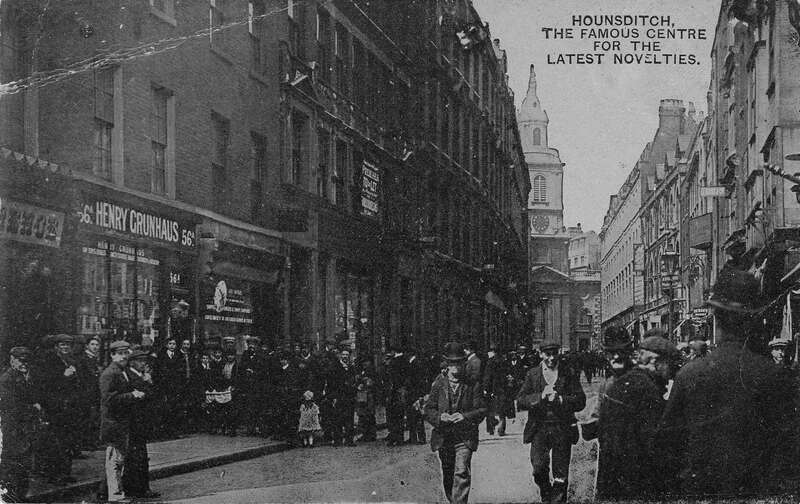 Morton was a journalist and his writing about London was probably embellished somewhat, but at the time it seemed to bring alive the history and romance of London. 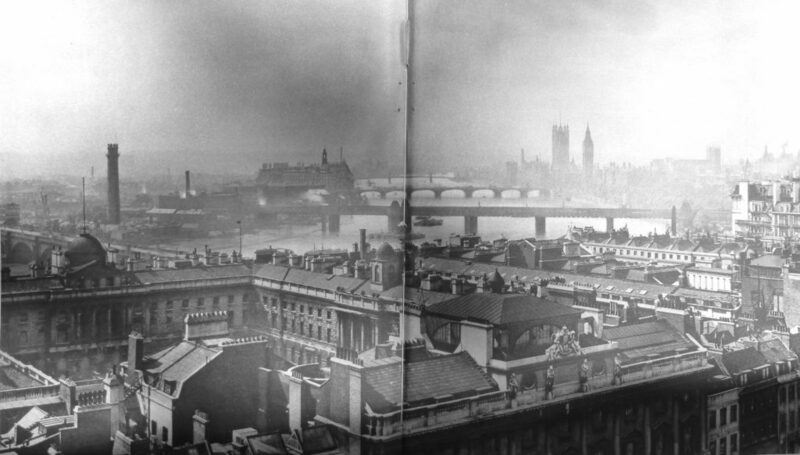 I recently bought a remarkable 3 volume set – Wonderful London, published in the late 1920s. 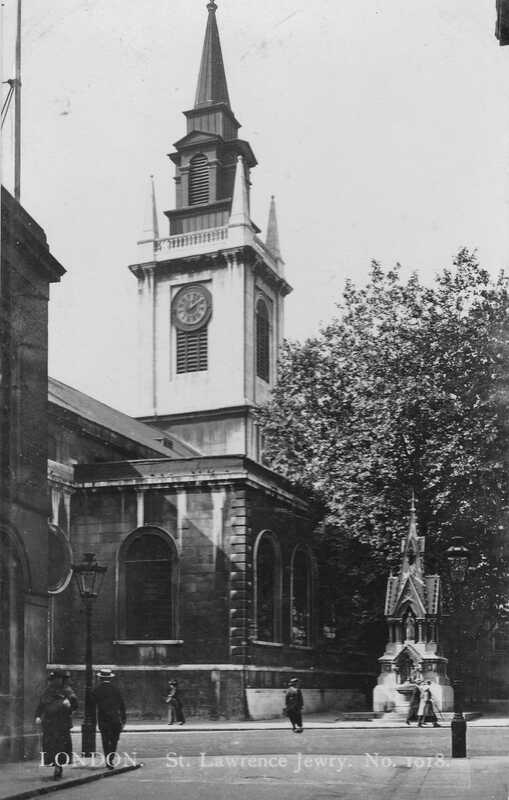 It was edited by St. John Adcock (a prolific author and poet who lived in Hampstead and died in 1930) and described as “The World’s Greatest City Described by its Best Writers and Pictured by its Finest Photographers”. Wonderful London has chapters on all aspects of the city, each written by a different author, for example “How London Strikes A Provincial” by J.B. Priestley, “The Case For Old London” by G.K. Chesterton and “Sunday In Town” by H.V. Morton. 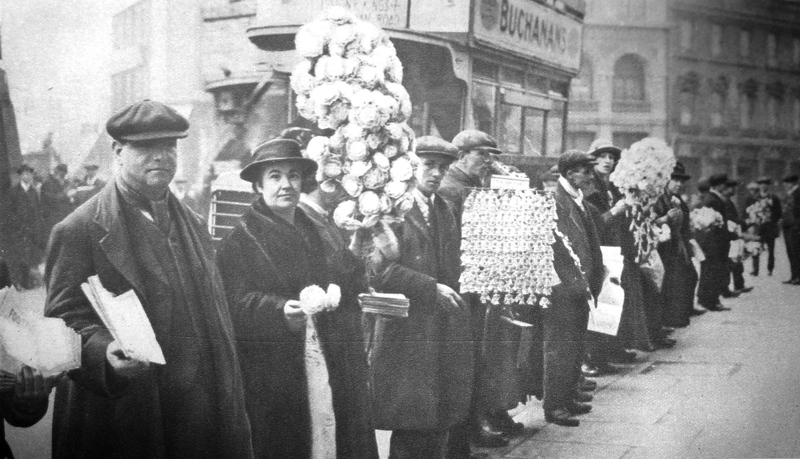 The three volumes run to over 1100 pages and 1200 photos and provides a fantastic snapshot of London in the 1920s with the text highlighting the social attitudes of the time. As I scanned through the book, many of the photos are of the same scenes that my father took in the late 1940s and early 1950s and which I have been photographing over the years. 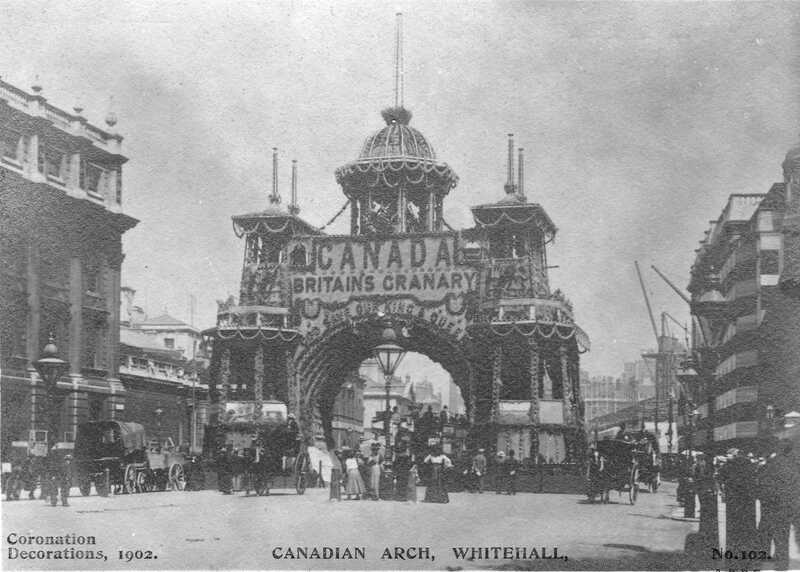 There are also some remarkable photos showing London in the first decades of the 20th century and for this week’s post, let me bring you a sample of photos from Wonderful London. 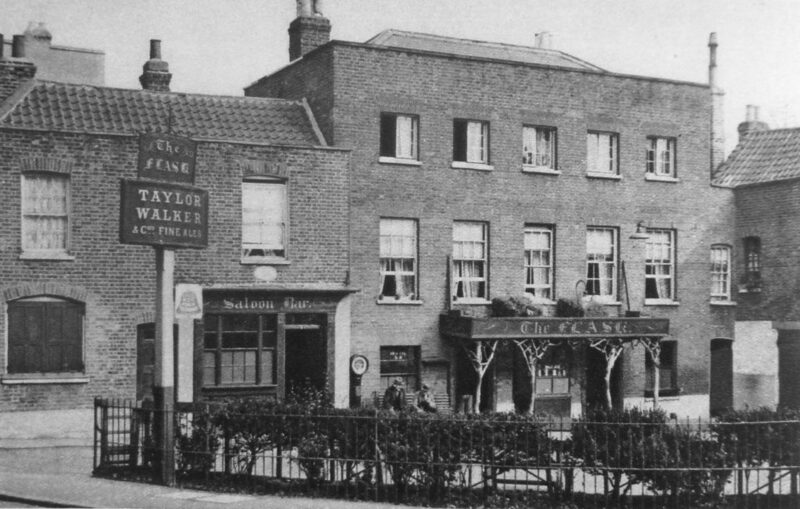 Walham Green is a name that is rarely heard today. 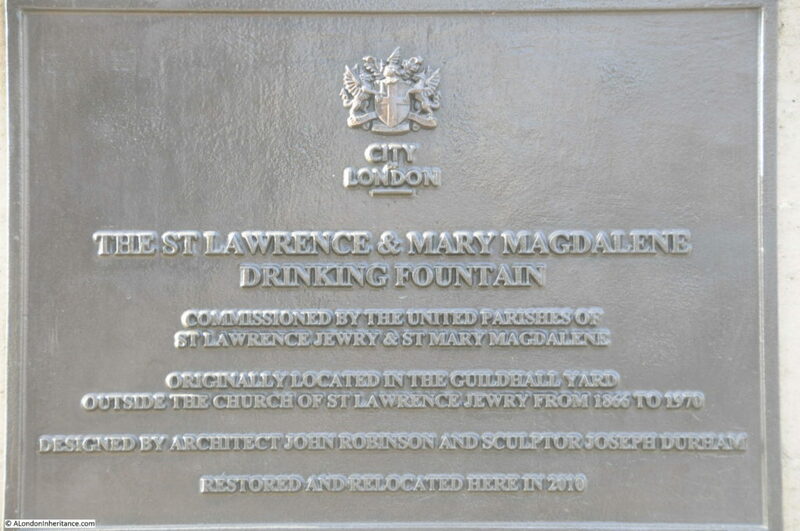 Originally the name of a village in west London, dating back to at least 1383 when it was known as Wandongrene. 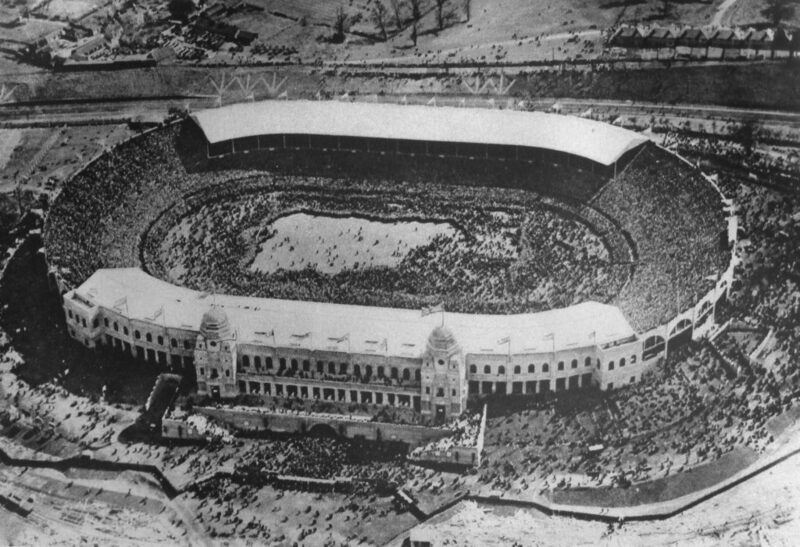 As the above reference to Chelsea Football Club suggests, it was integrated into Chelsea and Fulham. 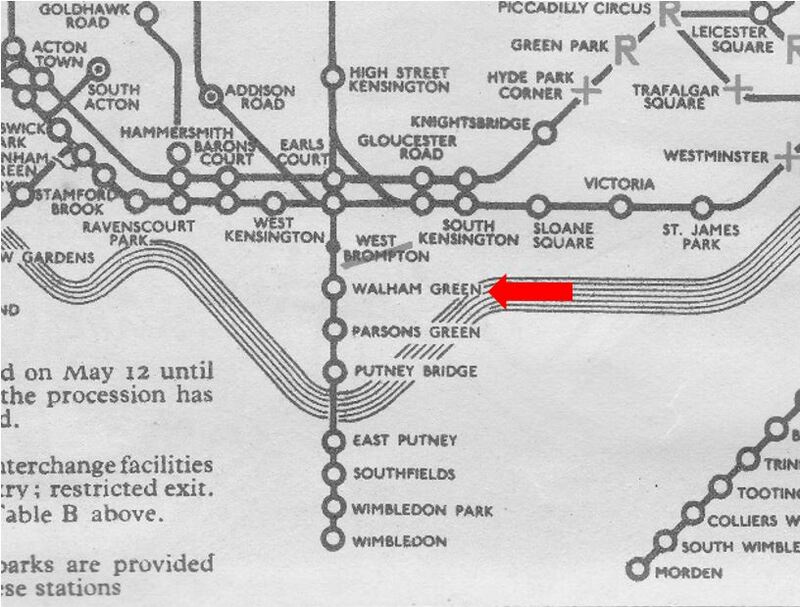 The underground station on the District Line that is now called Fulham Broadway was originally called Walham Green. 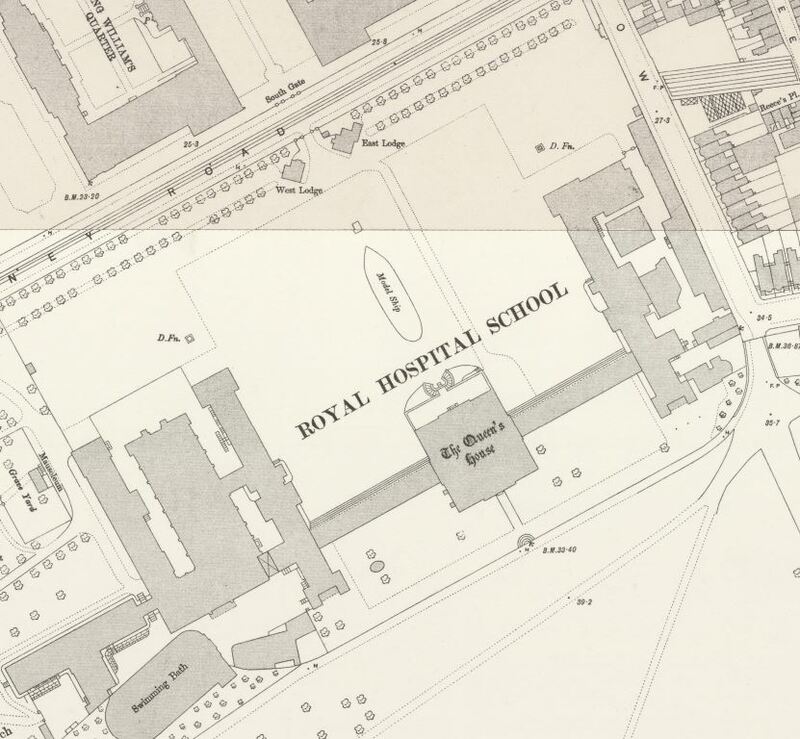 See the following scan from a 1937 underground map. 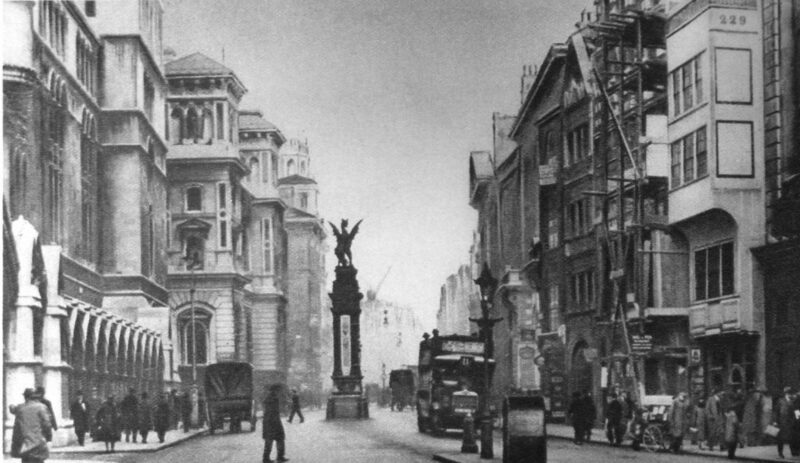 The name changed to Fulham Broadway in 1952. 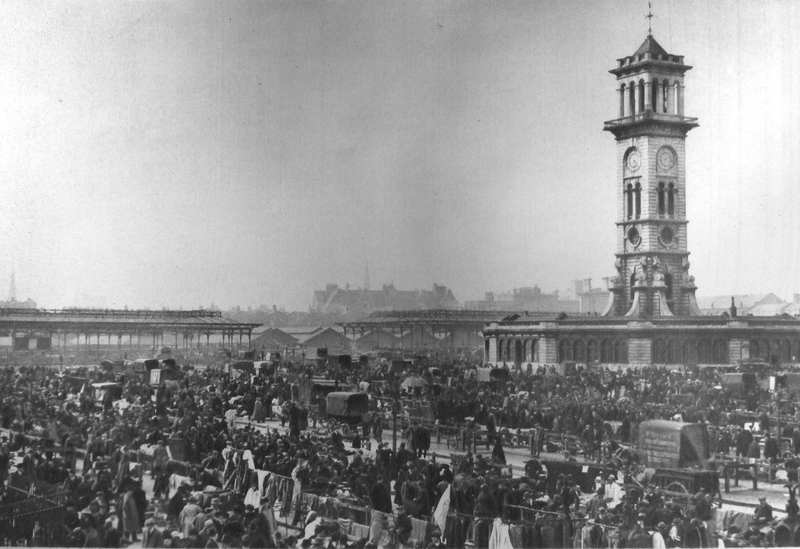 Last year I published a couple of posts on the Caledonian Market, including climbing the Clock Tower which can be found here and here. 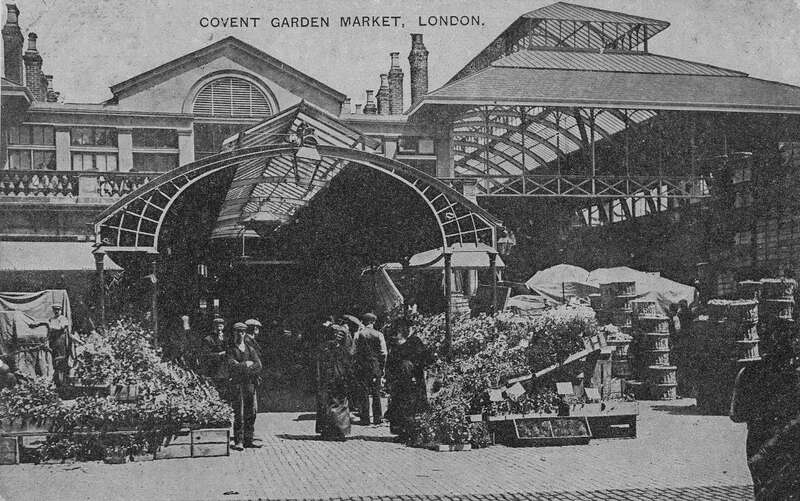 Wonderful London includes a few photos of the market, including the following photo showing an overview of the market in action. 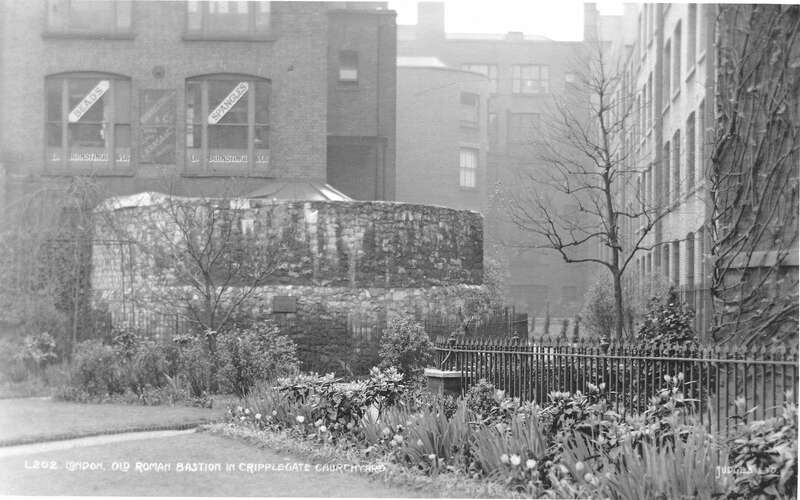 The clock tower is still there, but the surroundings are now completely different. 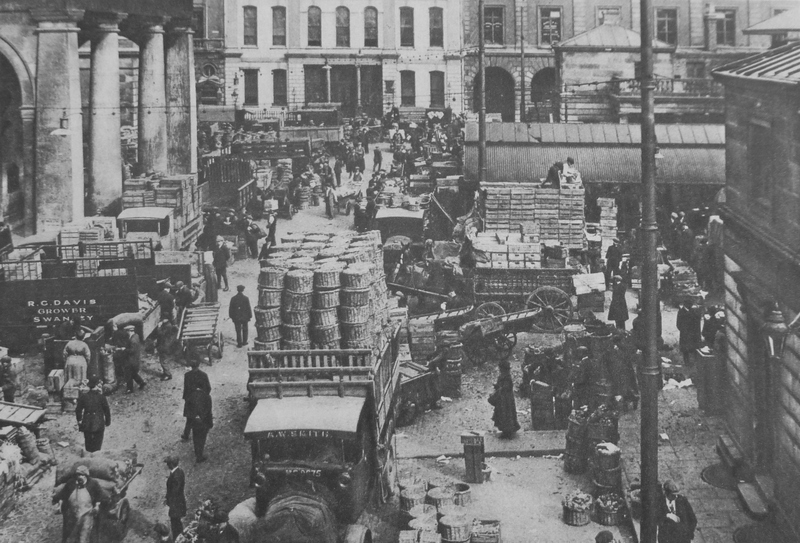 As well as the main cattle market, the Caledonian Market area was also the site of a Friday “pedlars’ market” where is was possible to buy almost anything. 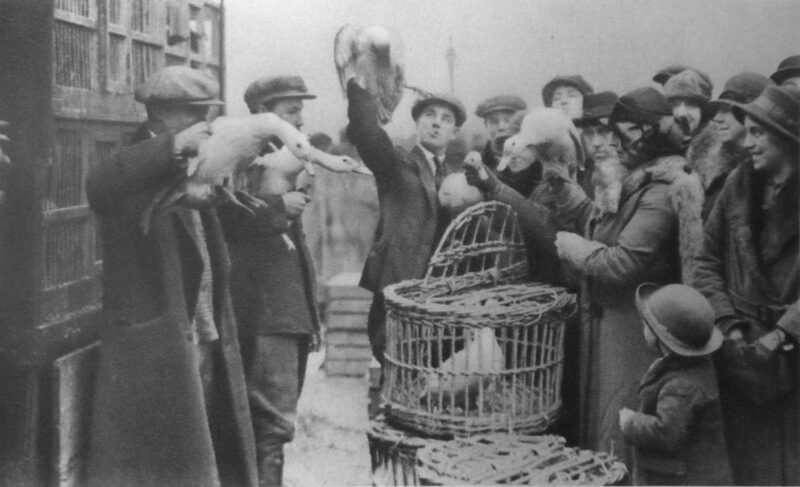 The following photo shows the sale of poultry at the pedlars market. At the end of last year, I went on the Massey Shaw Fireboat as it traveled along the Thames to demonstrate how river based firefighting was carried out. 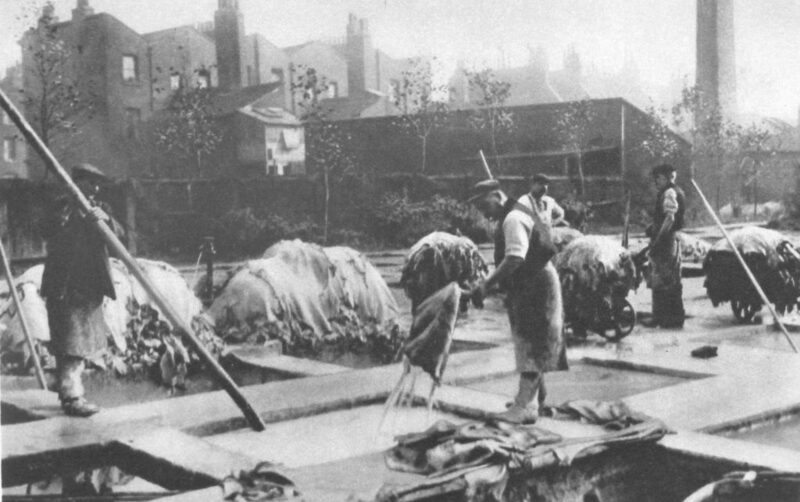 Wonderful London includes the following photo of a huge warehouse fire at Millwall with “thousands of tons of rubber are burning here besides large quantities of tallow and carpets”, being fought by fireboats on the river. 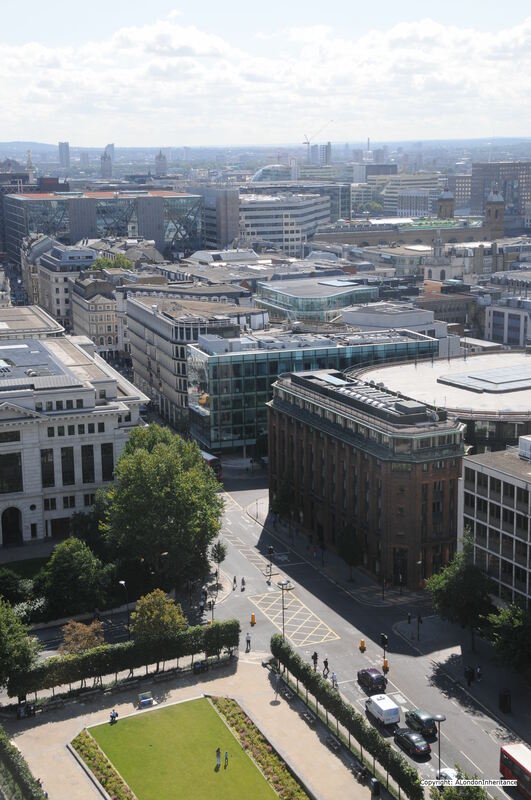 Another of the panorama photos is the following photo taken from the roof of Bush House. 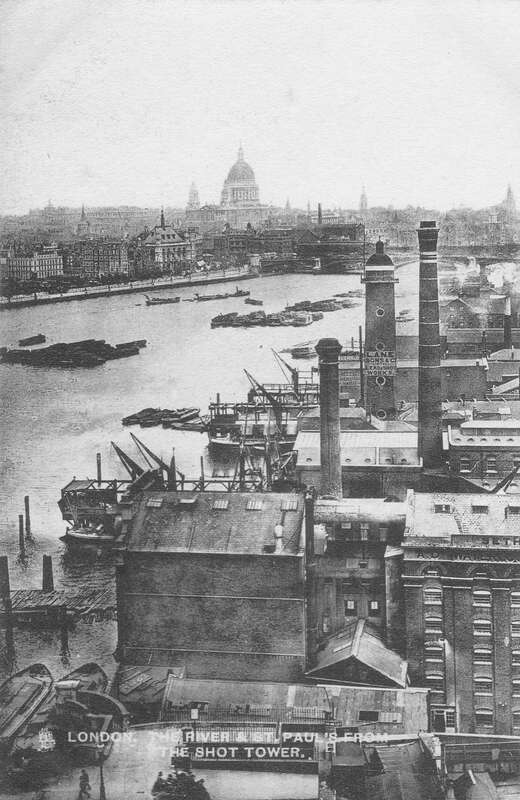 The photo is looking towards the South Bank and shows the Shot Tower and the industrial area on the South Bank prior to the post war redevelopment leading to the Festival of Britain. 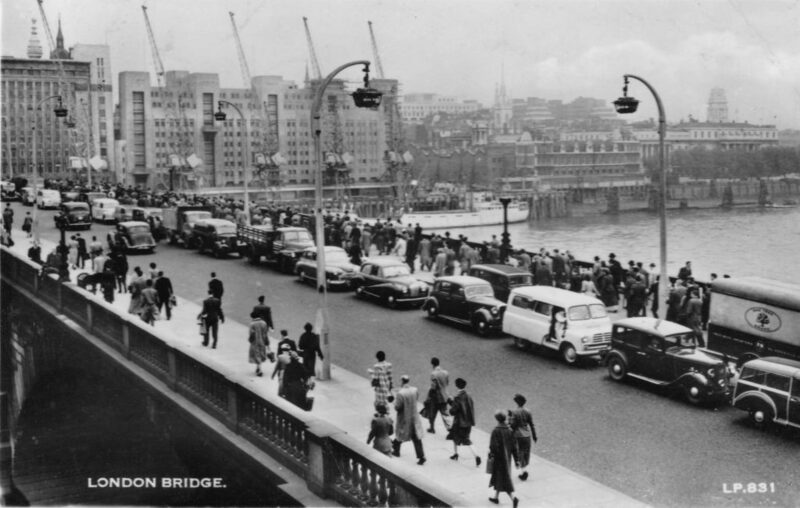 It is interesting that London has always been the subject of “before and after photos”, which is also one of my aims for this blog, to take photos today of the locations my father photographed in the 1940s/50s. 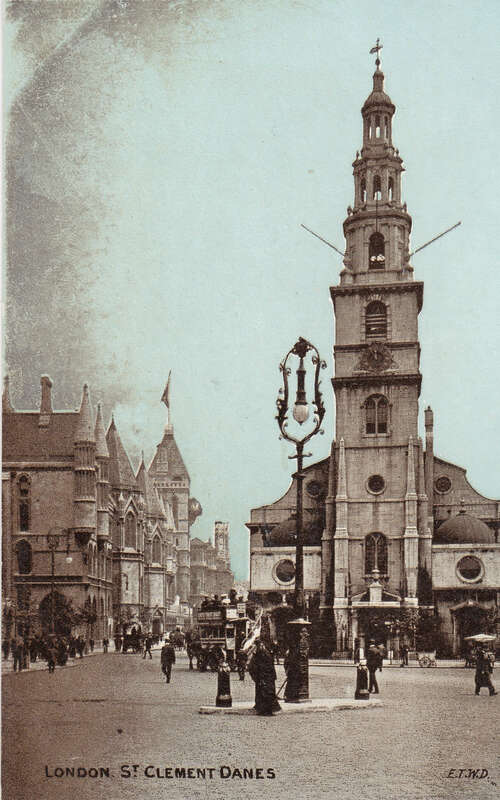 Wonderful London includes a number of examples, including the following two photos taken from the same position in the Strand. The first photo shows the original Temple Bar city boundary in 1878. The second photo shows exactly the same scene in the 1920s following removal of Temple Bar, widening of the street and new buildings on either side of the Strand. 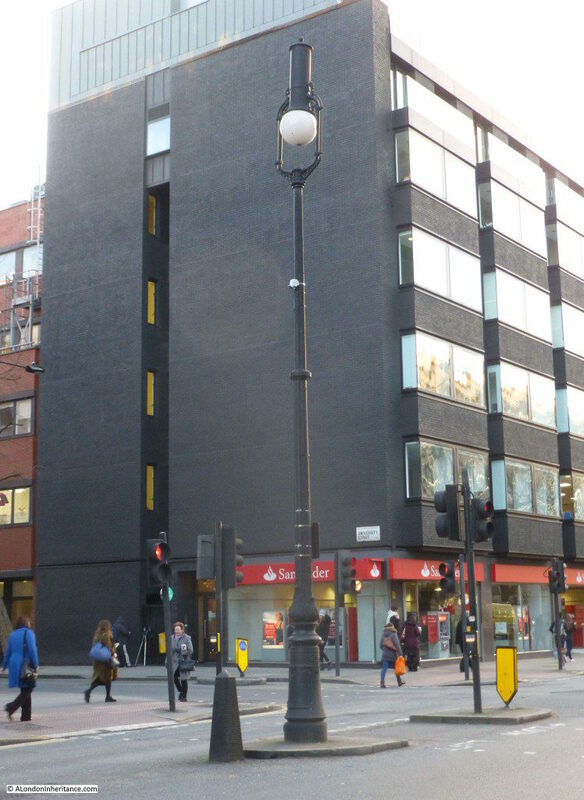 The location can be confirmed by building number 229 which is on the right of both photos. 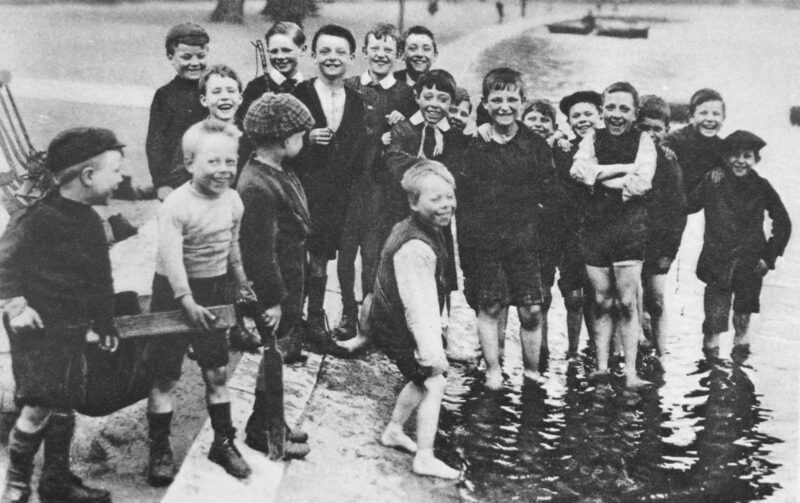 In last week’s post I featured photos my father had taken from the river looking at the north bank of the river. 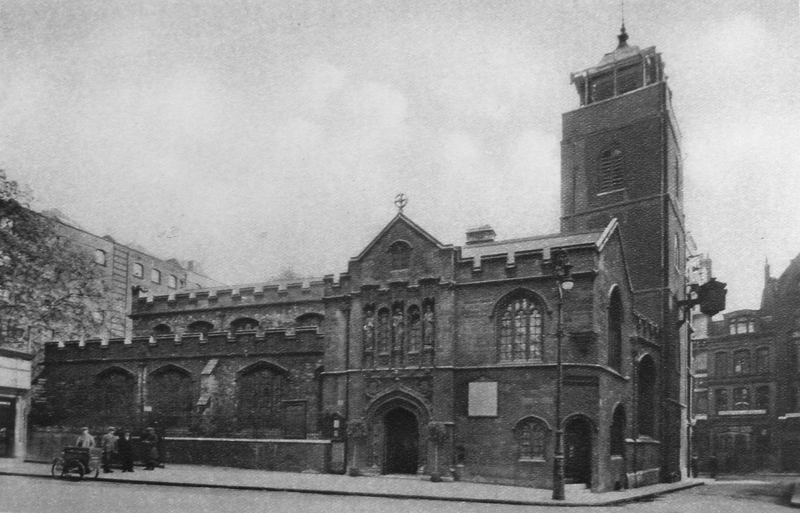 One of these photos had the shell of the church of Allhallows by the Tower which had suffered severe bomb damage during the war. 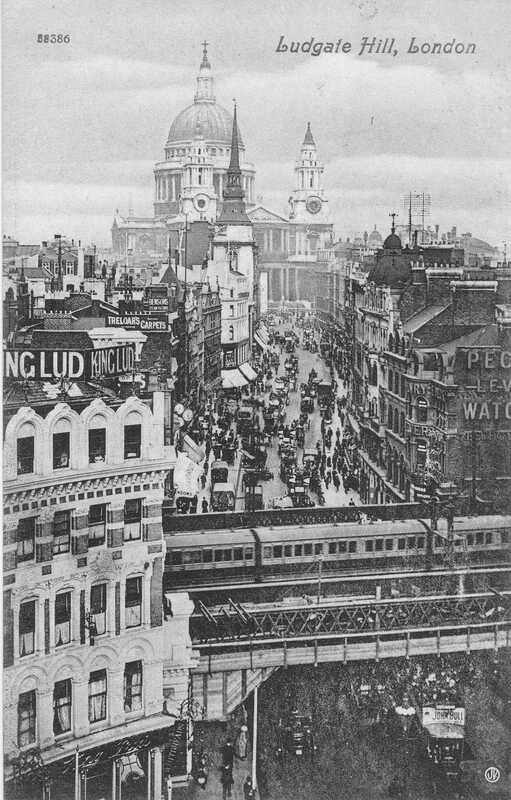 Wonderful London includes the following photo of the church in the 1920s, looking south. 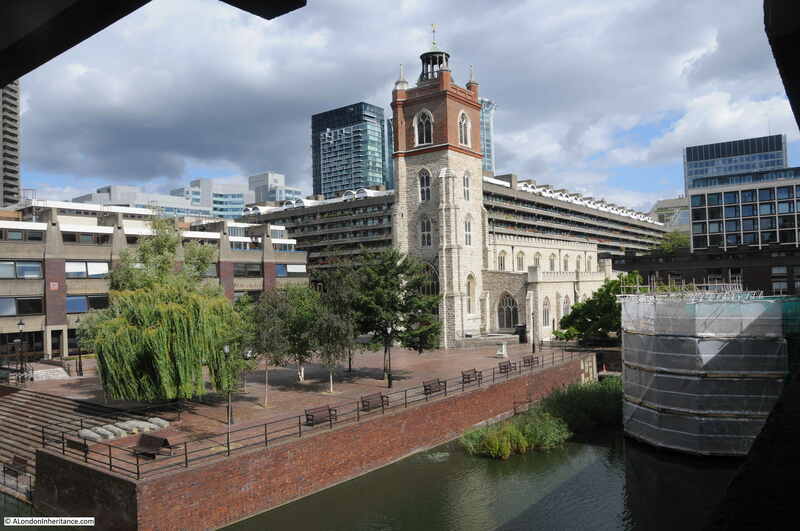 The buildings behind the church to the right are between the church and the river. 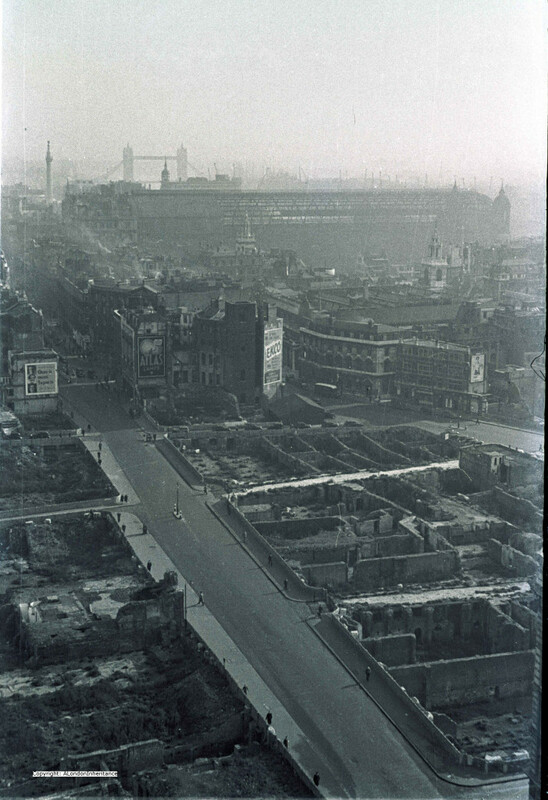 The majority of the surrounding buildings would also be destroyed by bombing in just over 10 years following the decade when this photo was taken. 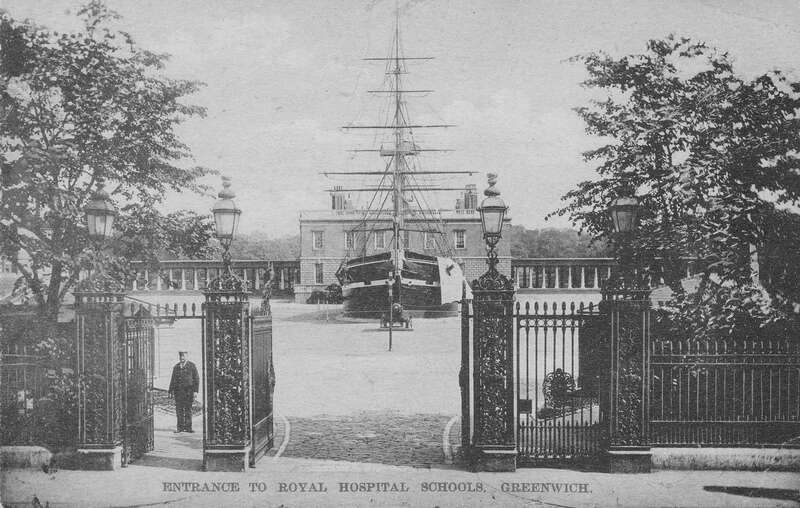 Photos of views along the river with many of the earlier bridges are included. 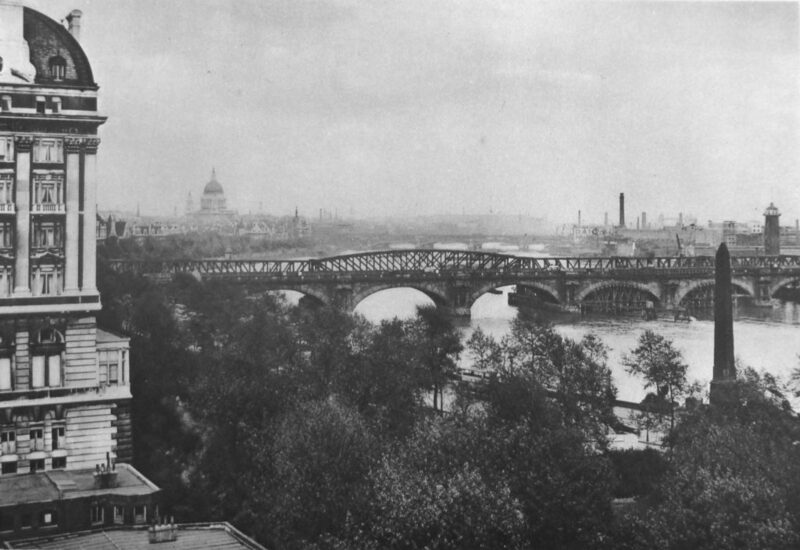 The following photo shows the view from the Adelphi Terrace looking eastward along the river. 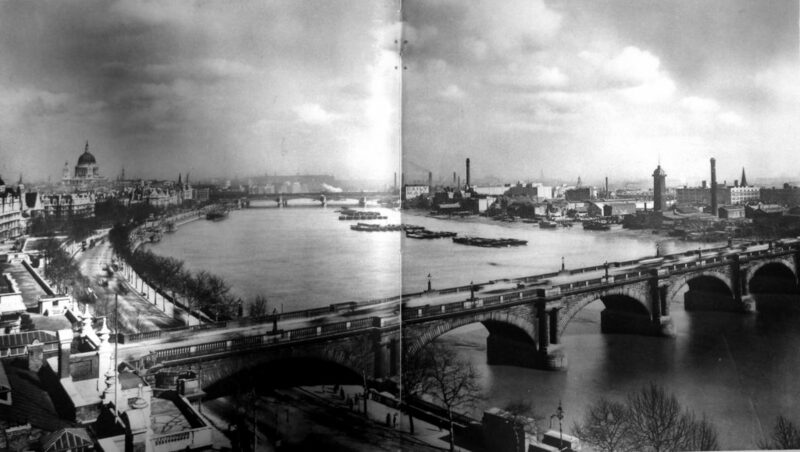 The bridge is the original Waterloo Bridge that crossed the river before the version of the bridge in place today, and was photographed after the failures mentioned in the earlier photo. 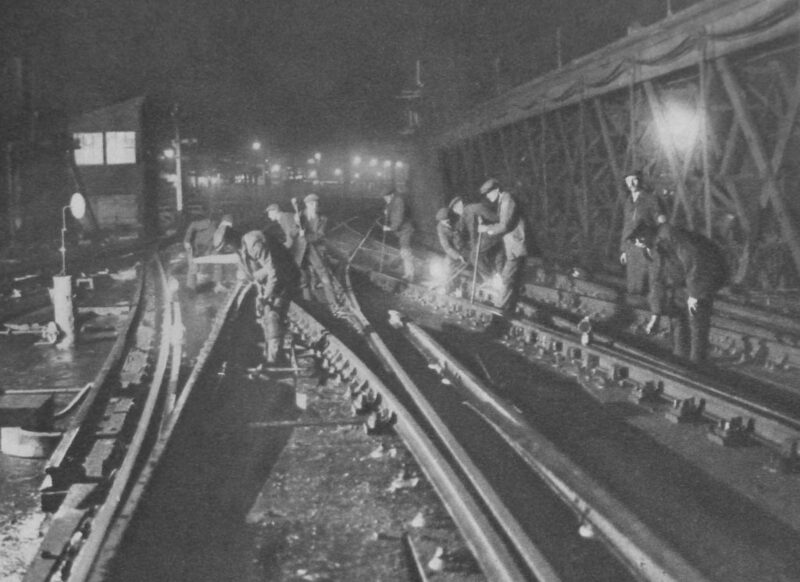 The bridge has the “steel auxiliary” also mentioned above. 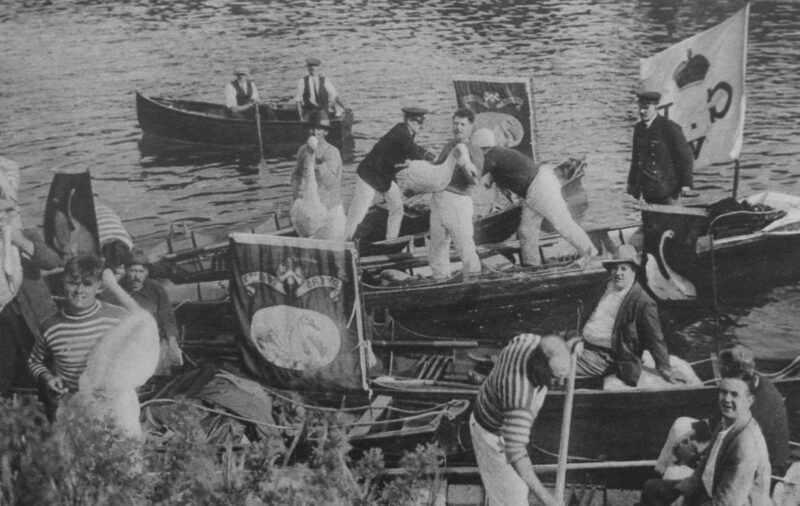 One of the ancient customs covered by Wonderful London is Swan Upping. A custom which my father photographed, as did I during the 2015 event. My post can be found here. 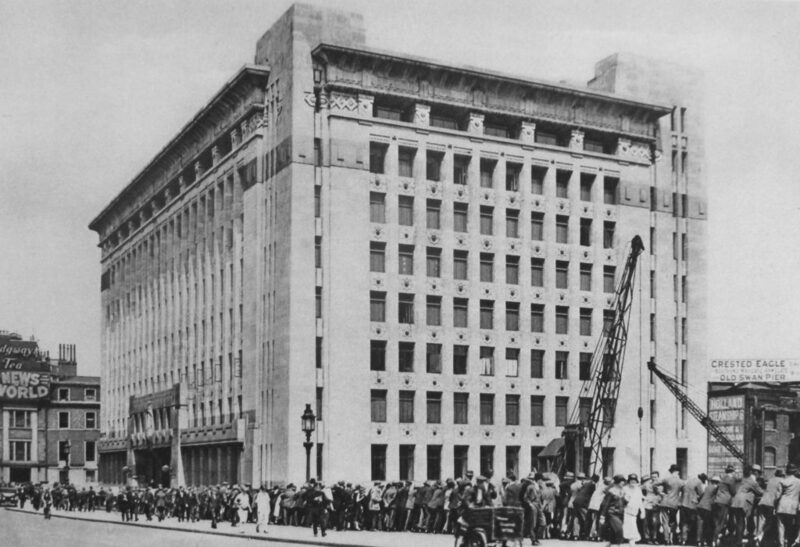 Photos of the event in the 1920s look almost identical to the event of today. 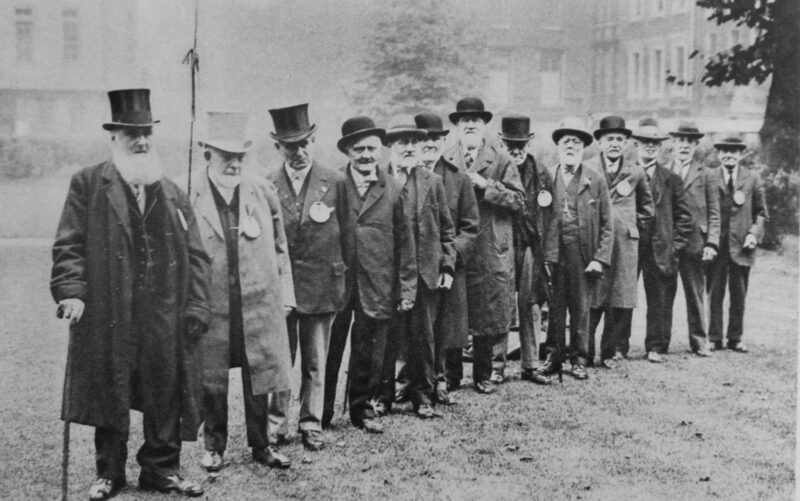 Among photos of Londoners and their trades is the following of “old cabbies headed by an ancient who claims that he once drove King Edward when Prince of Wales, from Waterloo to Marlborough House, in 1868.” You probably would not want to question the route taken by these cabbies! 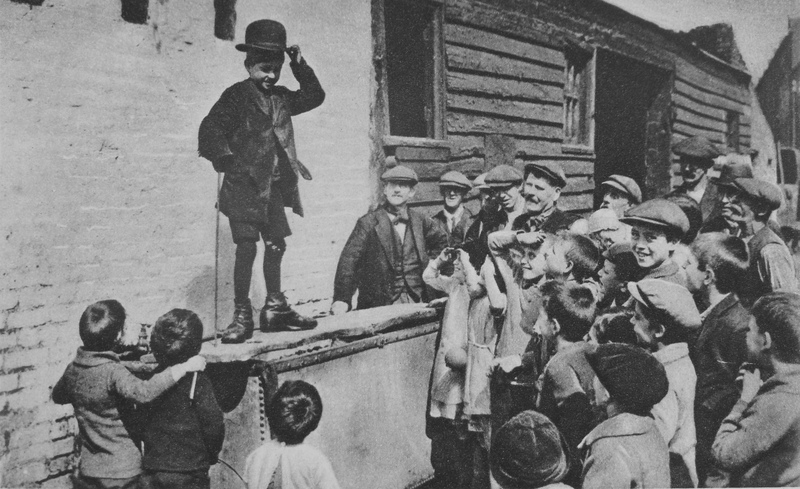 A chapter in Wonderful London covers Social Work, but a very different form of Social Work to that we understand today. 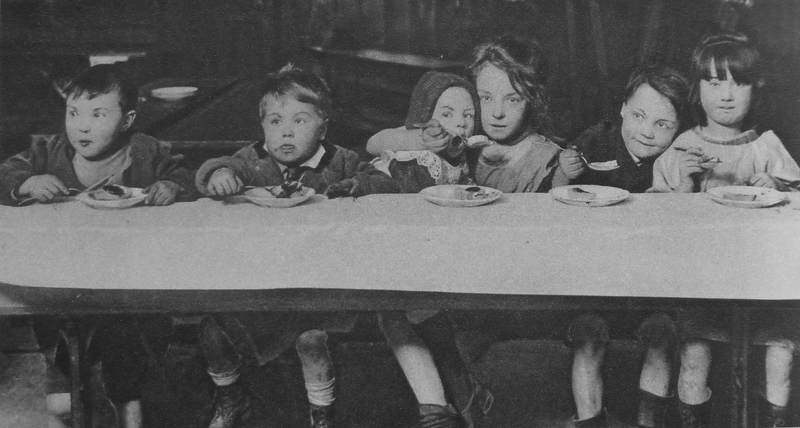 Provided to Londoners through a range of organisations such as the Salvation Army, Police Court Missionaries, Dr. Barnardo’s, the Watercress and Flower Girls’ Christian Mission, St. Dunstan’s, the Morning Post Home for Destitute Men, a Medical Mission for ailing working women and children and the YMCA. 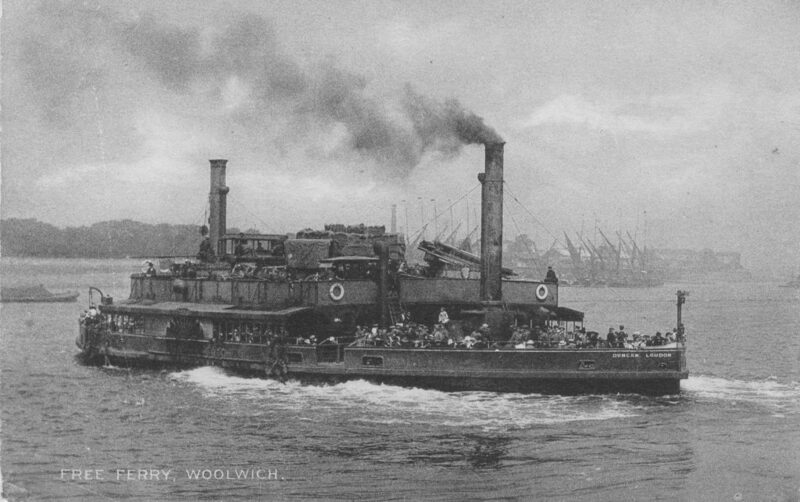 It is interesting that in almost 100 years, aspects of London’s transport system have not really changed. 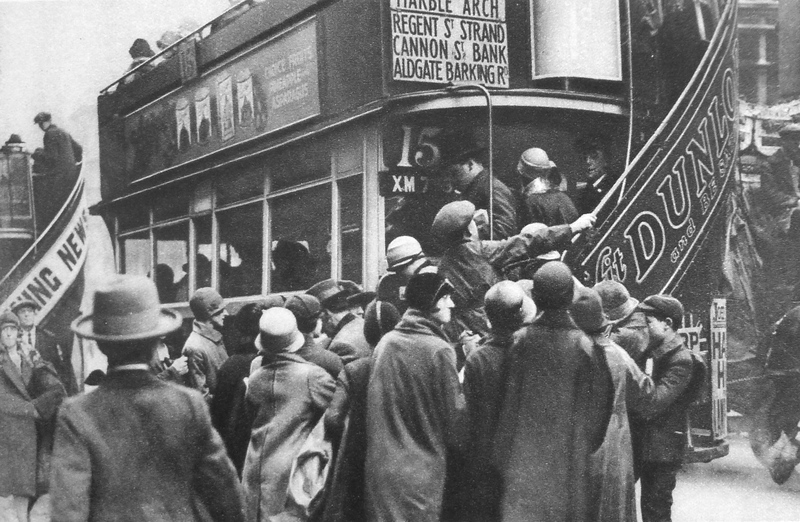 The following photo has the title “Herding Passengers On To A Bus On Ludgate Hill” and the caption starts “Londoners endure a state of perpetual and acute discomfort in the daily travelling to and from their work which is really astonishing.” A sentence that could equally apply today. 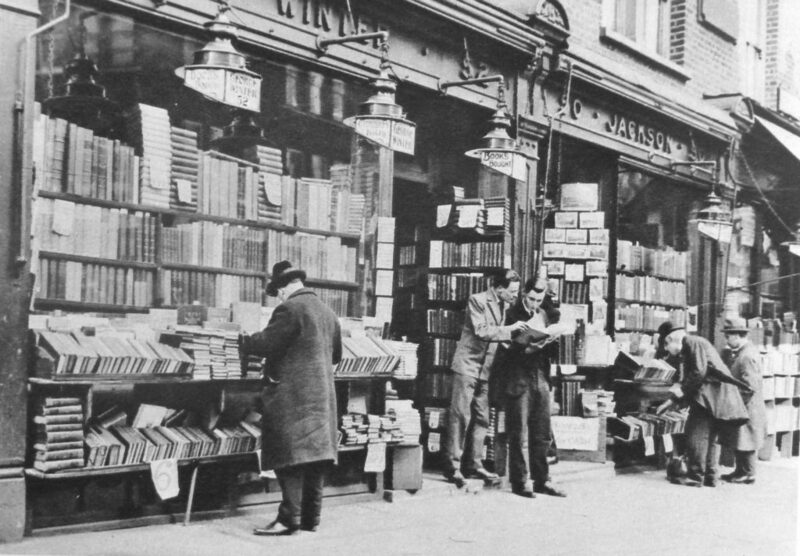 One of the chapters in Wonderful London covers second-hand bookshops and includes the following photo of a second-hand bookshop in Charing Cross Road, which as well as being the home to Foyles (which originally had a second-hand department) also had many other book shops. Just looking at this photo makes me wonder what treasures could be found in this shop. Had I been around at the time I would probably have spent far too much time and money in shops like this one. 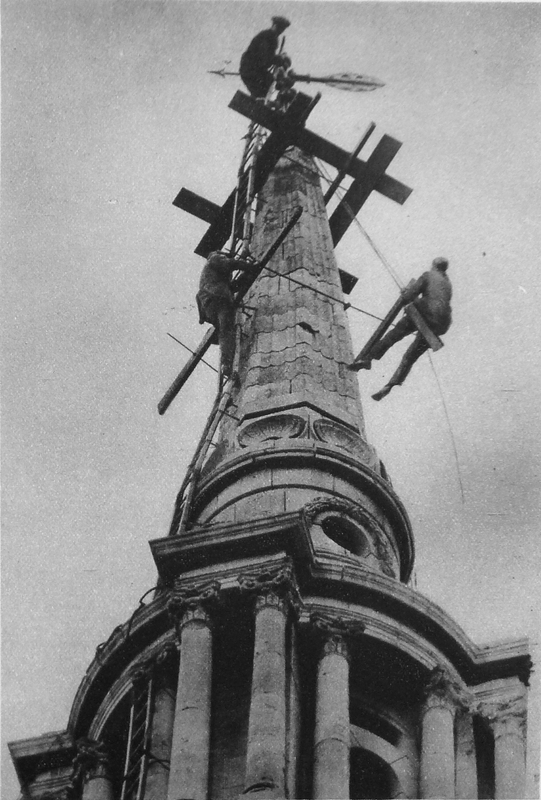 A range of occupations are covered in the three volumes, including the following photo of steeplejacks defying vertigo on the spire of All Saints, Poplar. 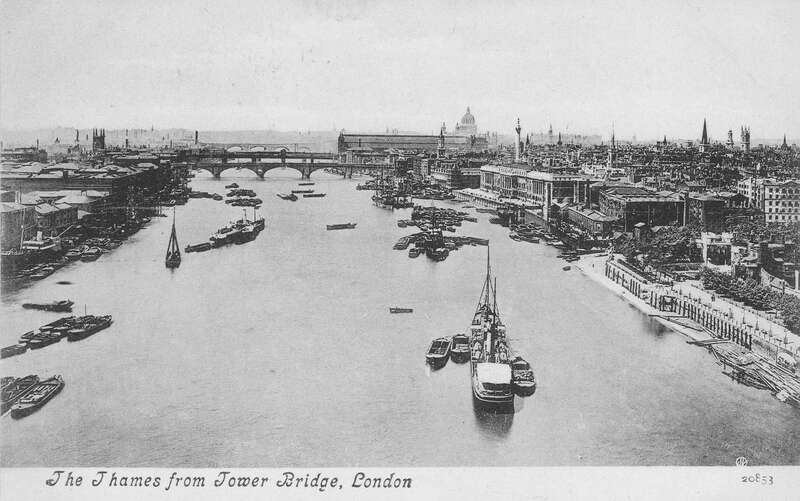 Interesting that the height of buildings has always been an issue in London. 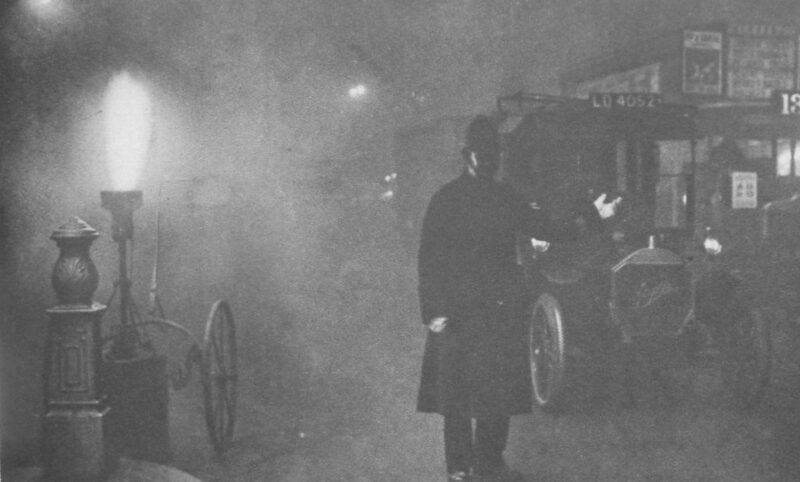 Interesting that the caption refers to the time and money lost due to London fogs rather than the impact on the health of Londoners. 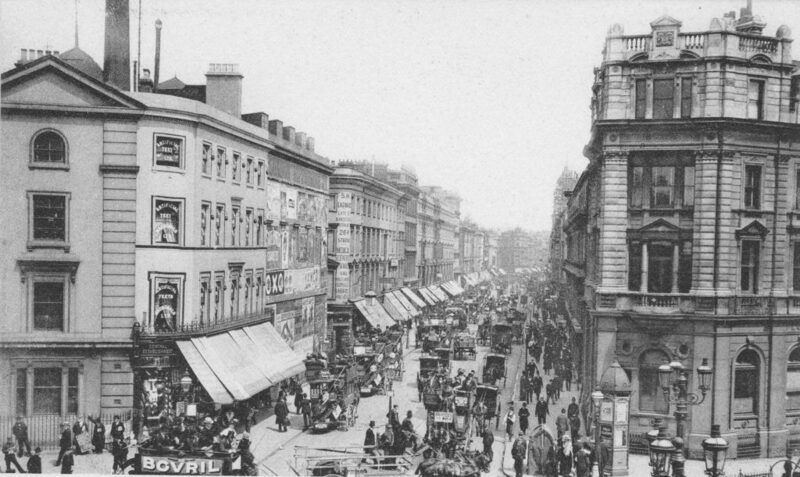 Business, trade and making money has always been the main driver of London life. A theme during the 1920s was the growth in motorised traffic across London and the need to manage traffic. This required new systems of control and in 1925 manually operated traffic lights were installed at the junction of St. Jame’s Street and Piccadilly. 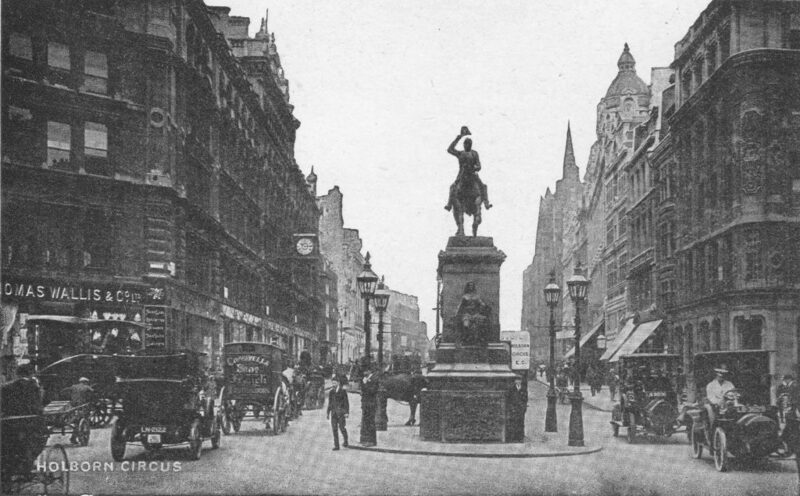 The photo below shows the junction. Look in the middle of the photo and there is a small hut. Within this hut is the control equipment for the traffic lights. 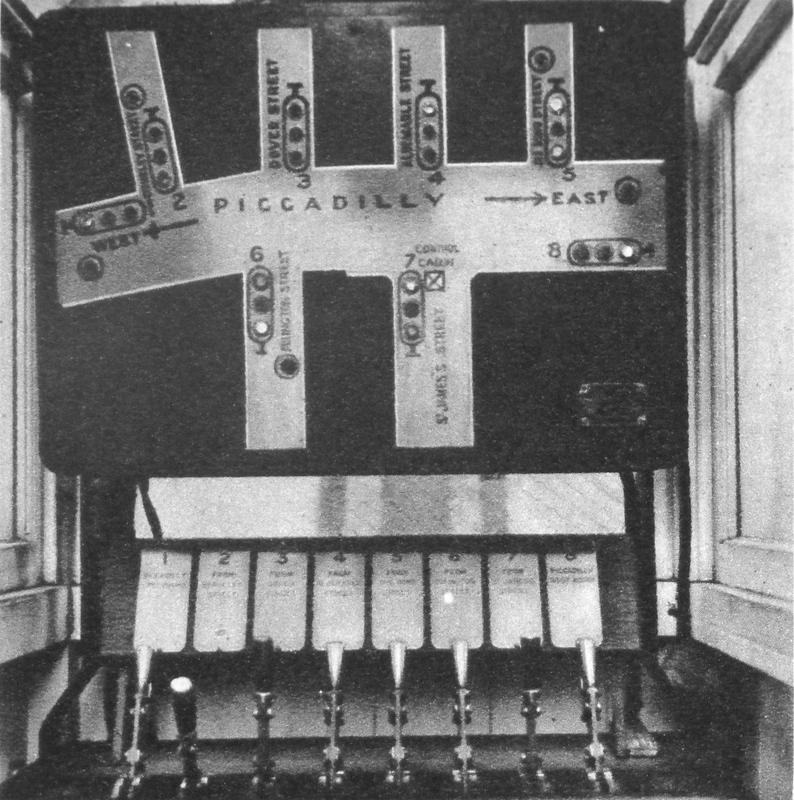 Operated manually by the levers at the bottom of the photo with the street layout and indicators showing the status of the traffic lights above. 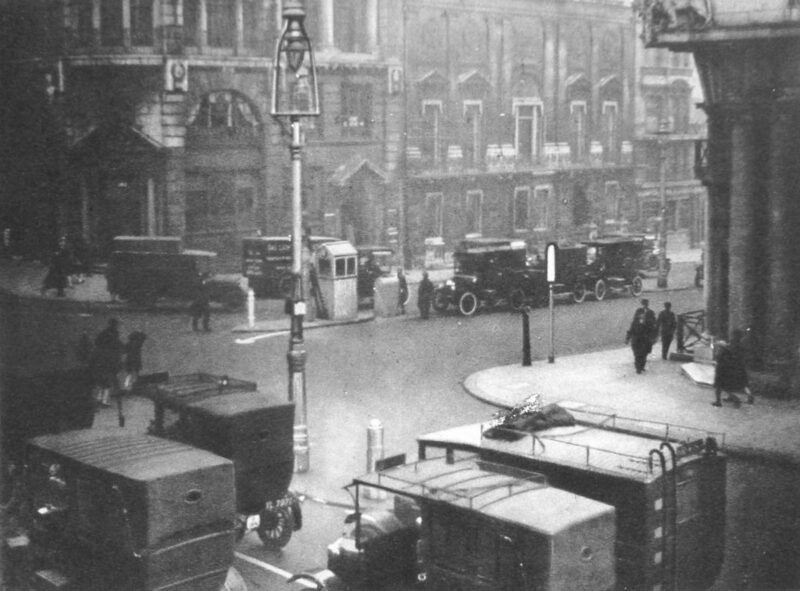 Requiring an operator for each set of traffic lights, it is no wonder that they only really started to proliferate across London when automated lights were developed a few years later. 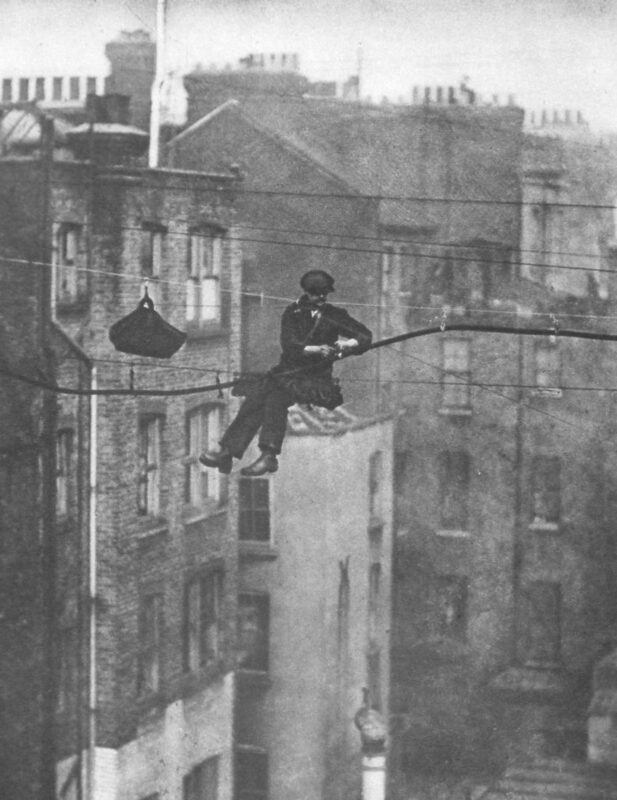 As well as radio providing a new means of communication and entertainment another new technology that started to be widely available and continues to have a huge impact on London is flight. 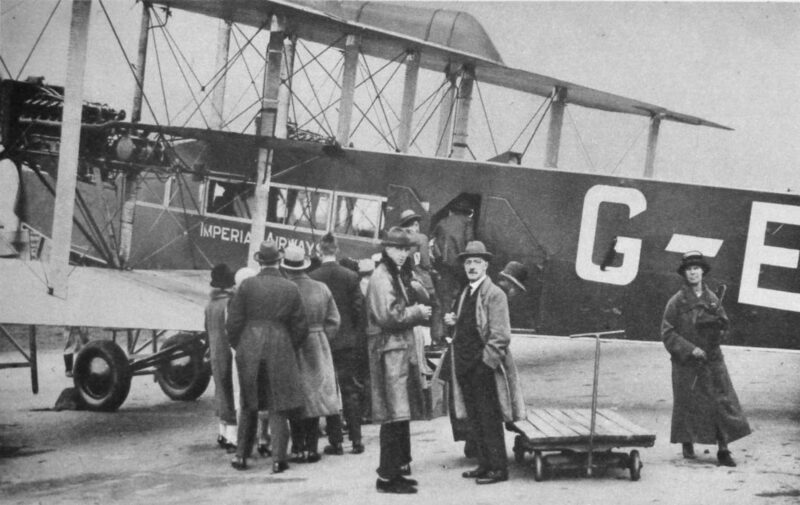 When you consider how quickly these first tentative steps in commercial aviation transformed into the scale and complexity that we now see at Heathrow, it does make you wonder what the next 90 years will hold for London. Wonderful London does live up to its name and with the written chapters that cover almost any topic you could think off, and with so many photos the books really do justice to describing the world’s greatest city. This entry was posted in London Books, London Photography and tagged London Photography, Wonderful London on May 8, 2016 by admin. 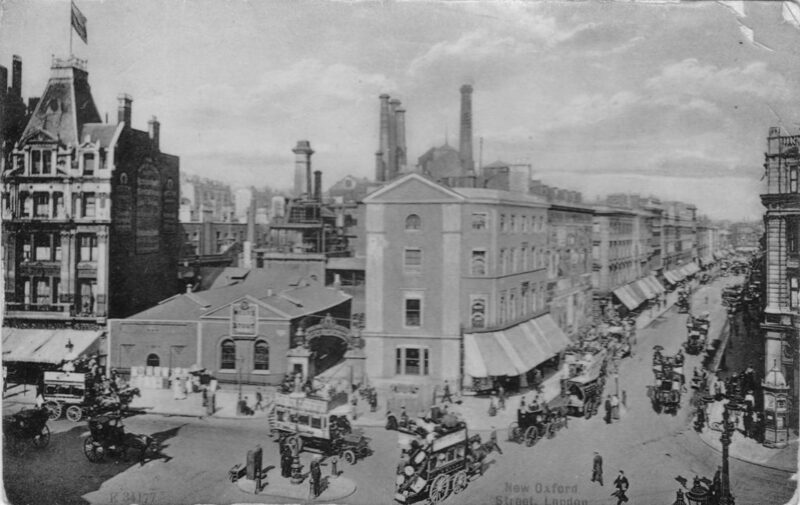 It seemed a fitting place to start a blog where my main focus is to discover how London has changed over the last seventy years, and to learn more about the history of each location. It has been a fascinating year and I have learnt so much about London by researching the subject of each week’s post. I would like to thank everyone who has read, commented, provided some additional information, subscribed by e-mail and followed on Twitter. It is really appreciated. To mark the first year, it would perhaps be a good time to provide some background as to why I started the blog and the photography that I am using to build up a personal view of how London has changed. As a family, we have a long attachment to London. 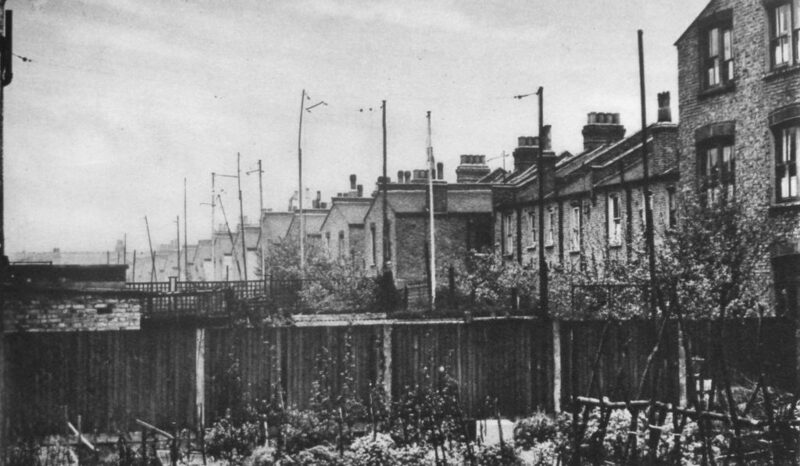 My great-grandfather was a fireman in East Ham, my grandfather worked in an electricity generating station in Camden, but it was my father who was born and lived in Camden during the last war, who started taking photos of London at the age of 17 in 1946. 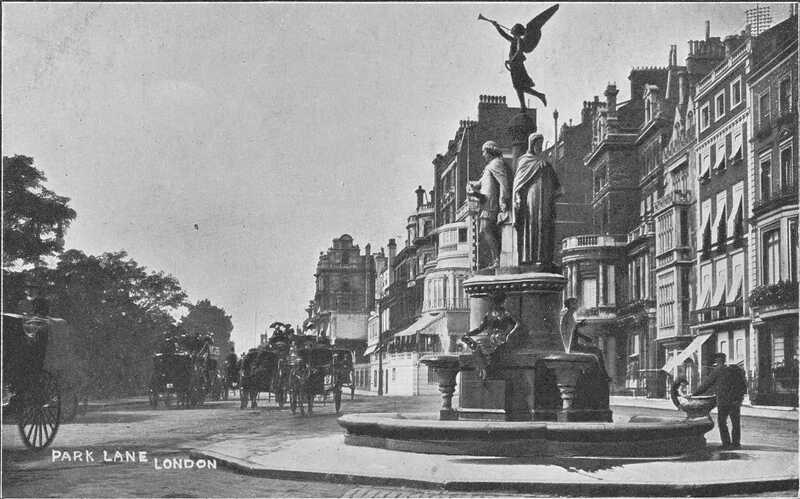 I also grew up listening to family stories about London and being taken on walks to explore the city. I have had his collection of photos for many years. Not all of the photos were printed, many were still only negatives and have been stored in a number of boxes in the decades since the photos were originally taken. Film for cameras immediately after the last war was in short supply. The first film he used was cut from 35mm movie film which had to be rolled into canisters before use. When standard 35mm camera film cartridges became more readily available, the film quality also improved with Ilford being a major provider to the retail market. 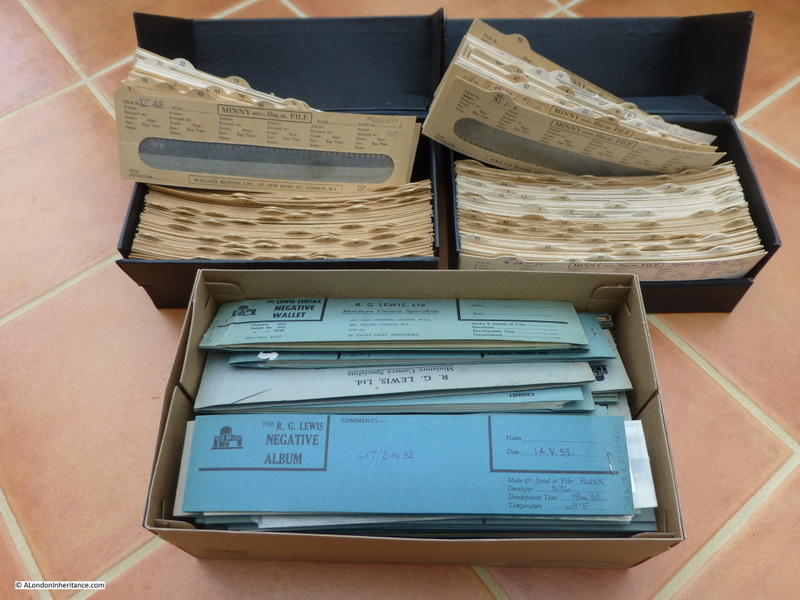 I have been looking after these boxes of photos and negatives and about 10 years ago started a project to scan all the negatives. The very early ones on the worst film stock were starting to deteriorate so the time was right to begin this work. 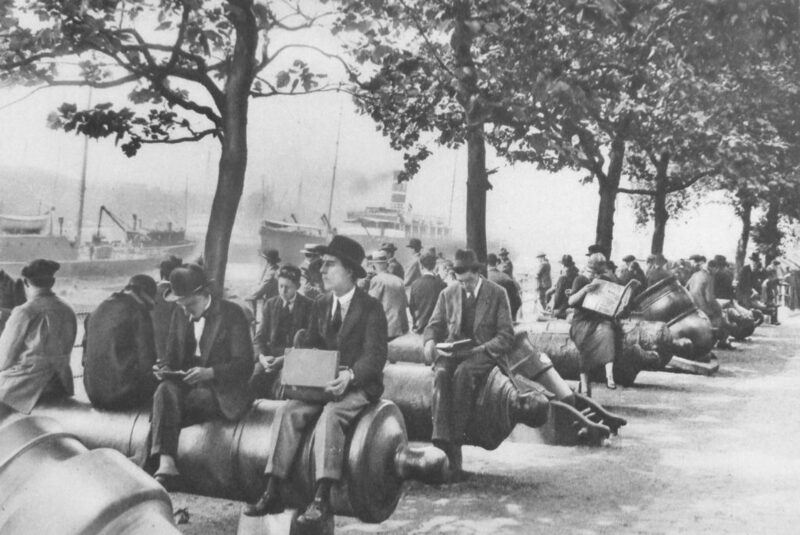 Due to family, work and other commitments it took the 10 years (and now on my third negative scanner) to complete the series of black and white photos, over 3,500 covering not only London, but also post war cycle trips around the UK and Holland along with his period of National Service starting in 1947. It was a really interesting project. 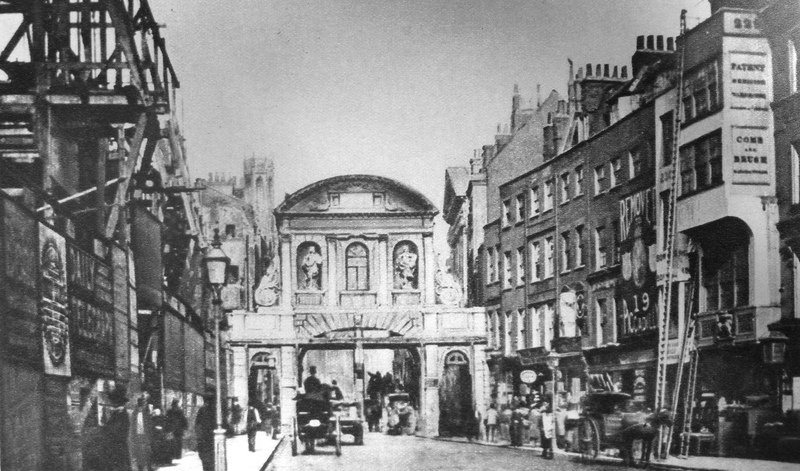 Seeing long-lost London scenes appear on the computer screen. Never knowing what a new strip of negatives might contain. A number of the photos were easily identifiable. 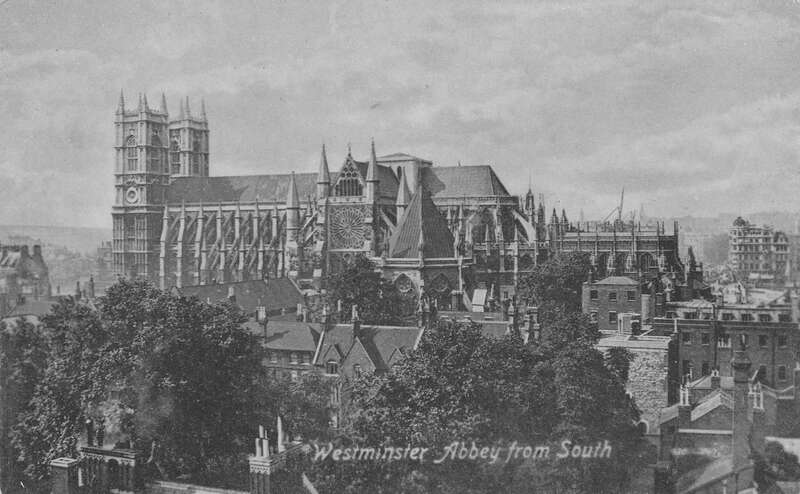 Those which my father had printed often had the location, date and time written on the back, but for many there was no location. Flicking through these photos on the computer, a project to find the locations, understand the changes since the original photo was taken and use this as a means to learn more about this fascinating city seemed the logical next step. I also needed an incentive to follow this through. A blog seemed a possible method to document the project and attending one of the Gentle Authors blogging courses last February provided the final kick I needed to get this underway. Photography just after the war was very different when compared with the cameras available today. My father started taking photos using a Leica IIIc camera in 1946. Leica produced these from 1940 to 1951 and apparently they were readily available after the war, brought home by returning solders who had bought them cheaply in Germany. This was the source of my father’s camera. 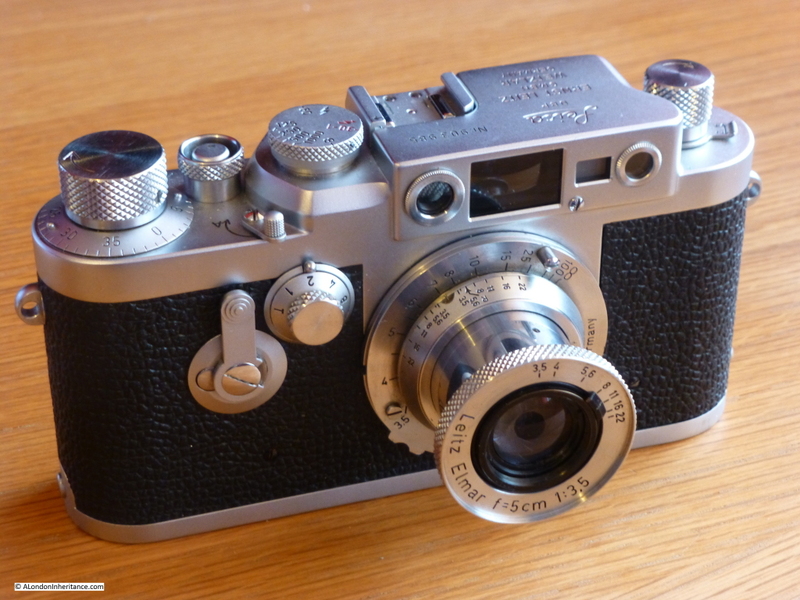 The lens on the camera is not the standard for the Leica IIIg, it came from my father’s original Leica IIIc. Lenses on the Leica III range up to and including the “g” model were a screw fitting and compatible throughout the range, so although the camera body of the Leica IIIg was not used for the early photos of London, the lens was from the original Leica IIIc and was used for all the 1940s and 1950s photos in my blog. I have recently had the camera serviced to fix a sticking shutter, so a future project for the Spring is to start taking photos using the Leica, which, having the same lens as used for the original photos should make it easy to get the same perspective. Not always possible when using a new digital camera with a completely different lens for the current comparison photos. 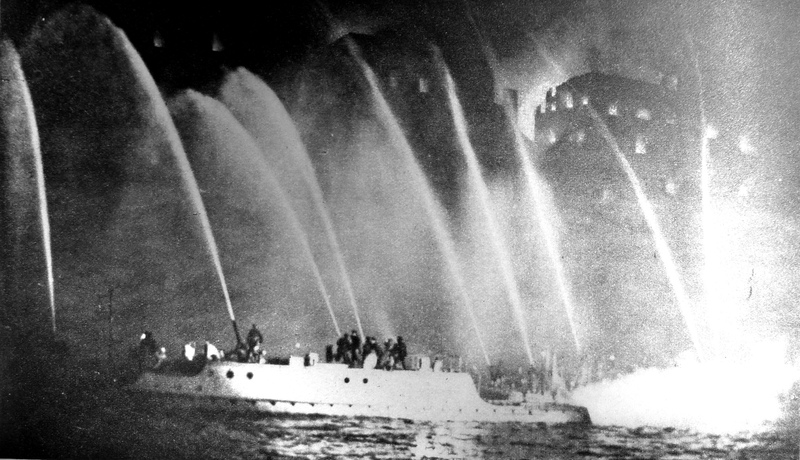 It will be an experience to be taking photos of the same scene, from the same place, almost 70 years apart and with the photo taken through the same lens. 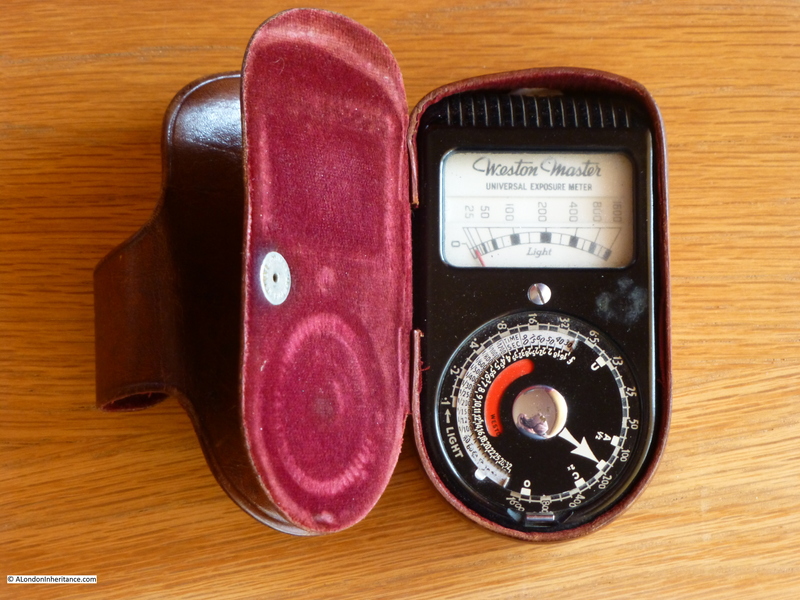 The Weston Master Universal Exposure Meters were made by Sangamo Weston in Enfield from 1939 and provided a method of measuring the light level. 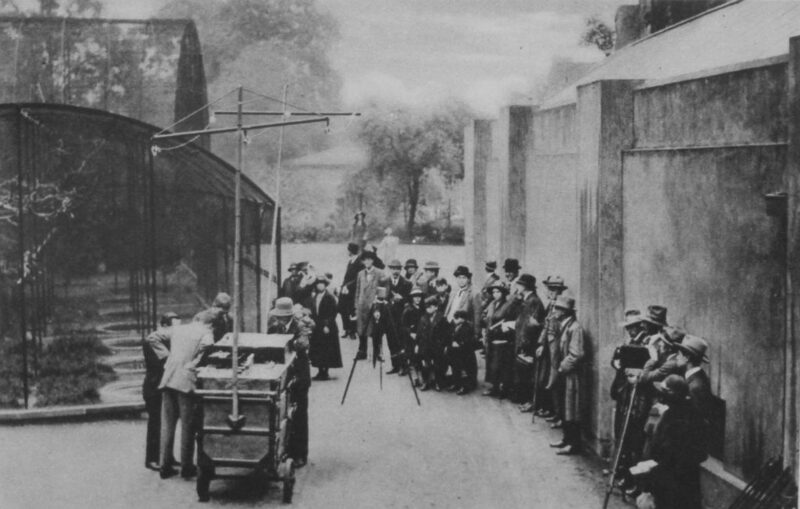 The user would hold up the rear of the light meter (which had a light-sensitive cell which generated an electric current proportionate to the intensity of the light), towards the subject of the photo. The meter on the front would then display the light intensity and using the dial below the meter, this reading would be used to calculate the aperture and speed settings for the camera, specific to the scene being photographed. With practice it was possible to visually estimate the light level and the settings needed, and some degree of wrong exposure could be corrected when the photo was developed in the dark room. There was both an art and a skill to getting the correct exposure, something I need to try to learn before taking the Leica back onto the streets of London. 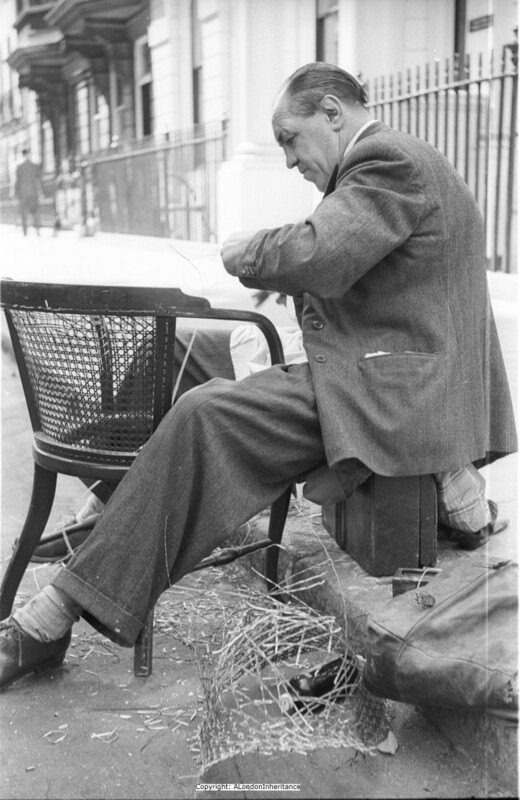 Any serious amateur photographer of the late 1940s and 1950s would develop their own photos and my father was no exception (he was also a member of the St. 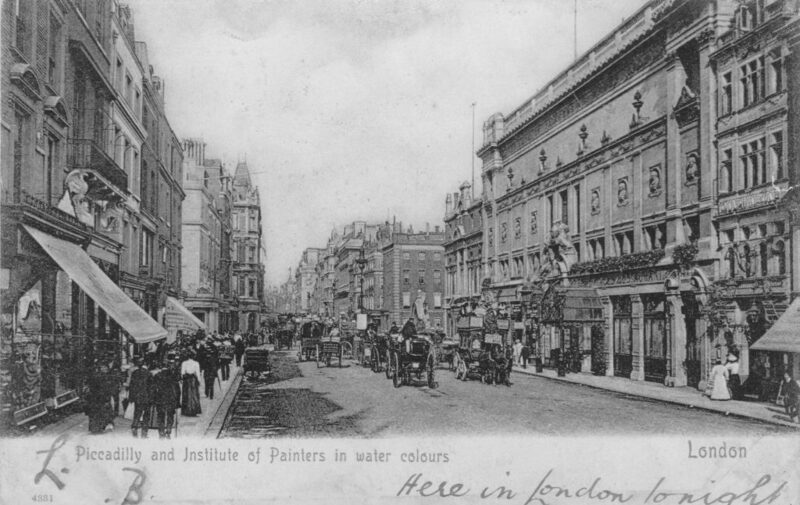 Brides Institute Photographic Society). The lens on the camera also served as the lens on the enlarger which projected the negative onto the paper during the developing process (another reason why he kept the lens from the first camera). 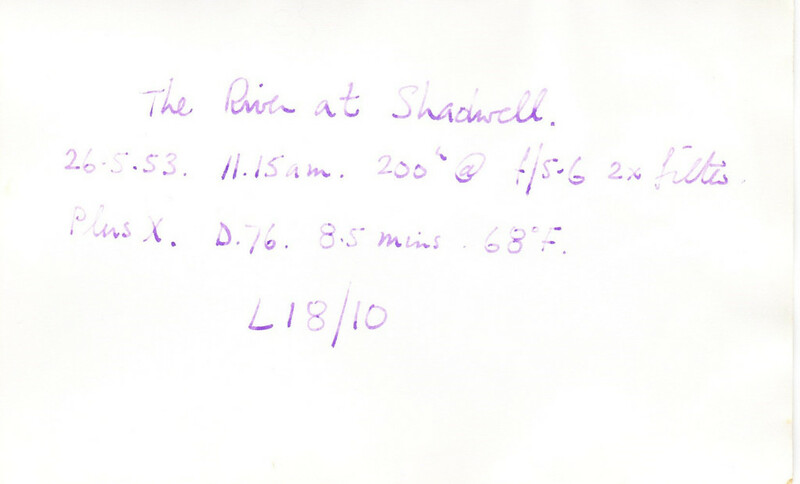 And on the rear is recorded that the photo was taken on the 26th May 1953 at 11:15 am, along with the speed and aperture settings and that a filter was used. On the third line is recorded the film type and the parameters used during developing. 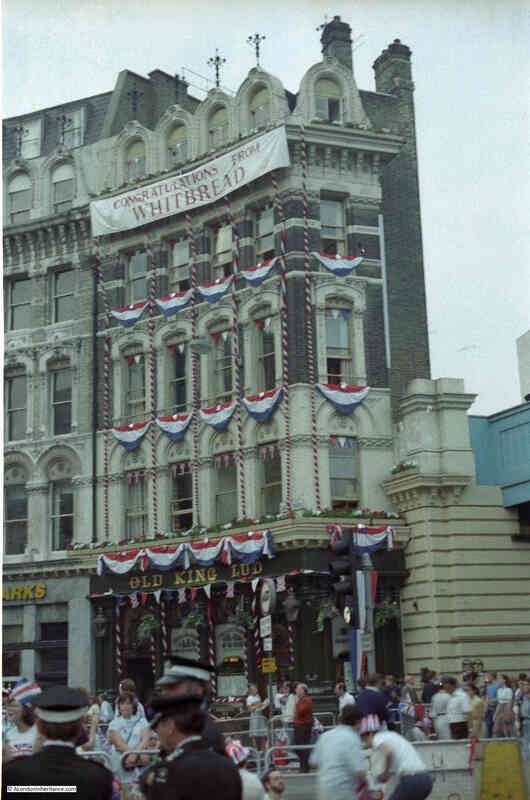 My father continued taking photos of London through the 1980s and 1990s. 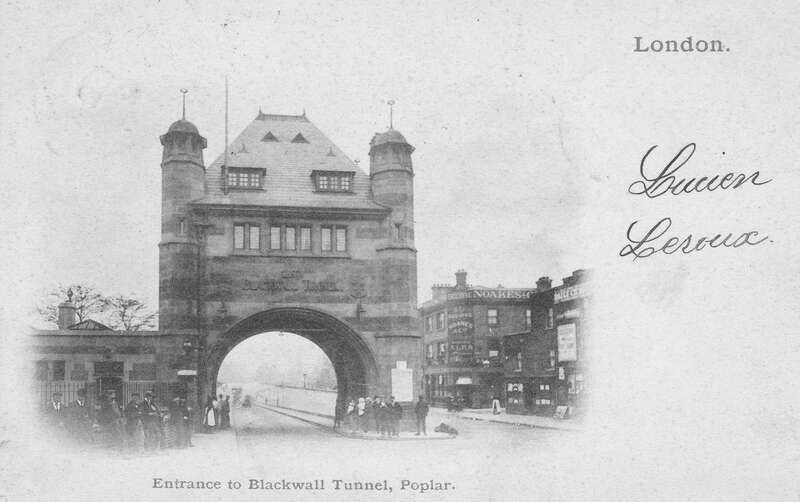 I have started scanning these and they cover not just central London, but also the Isle of Dogs, north and east London, Greenwich etc. The posts on London Hairdressers and Murals and Street Art from 1980s London are some of the first I have scanned. 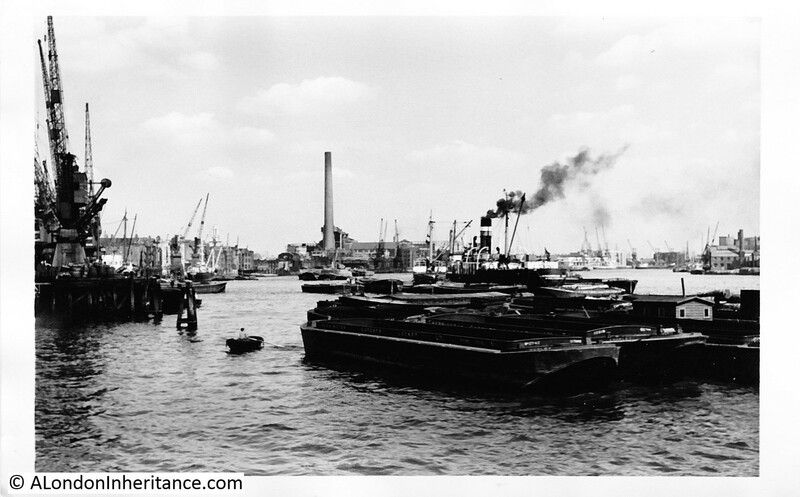 I started taking photos of London in the mid 1970s (can an urge to photograph London be inherited?). 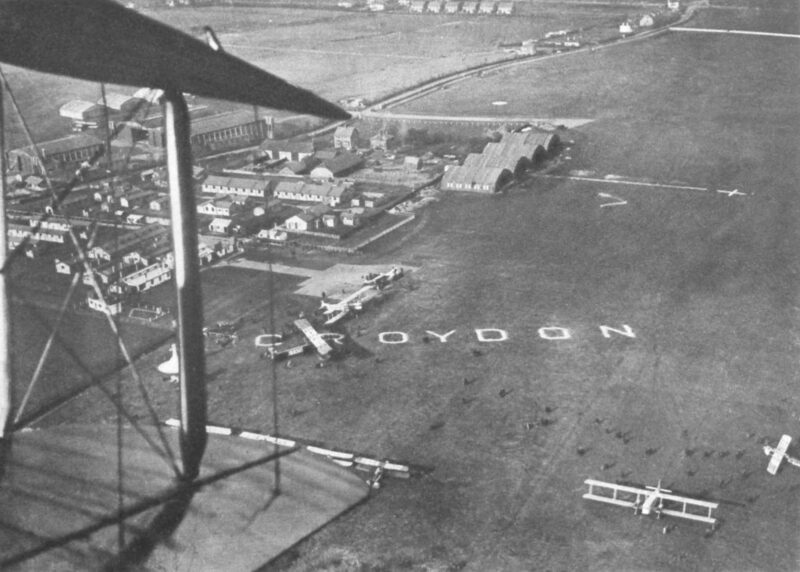 The photos from the posts on Baynards Castle and a Dragon Rapide over London are some of my early photos. 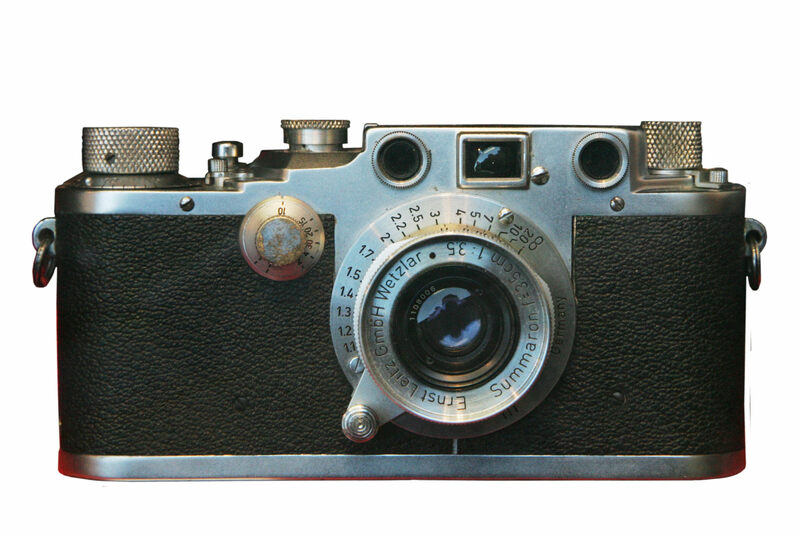 The first camera I could afford on pocket-money was a Russian built Zenith-E. The only problem with this camera was a random sticking shutter so you would never know whether you would have a good photo until after they were printed. Very frustrating. 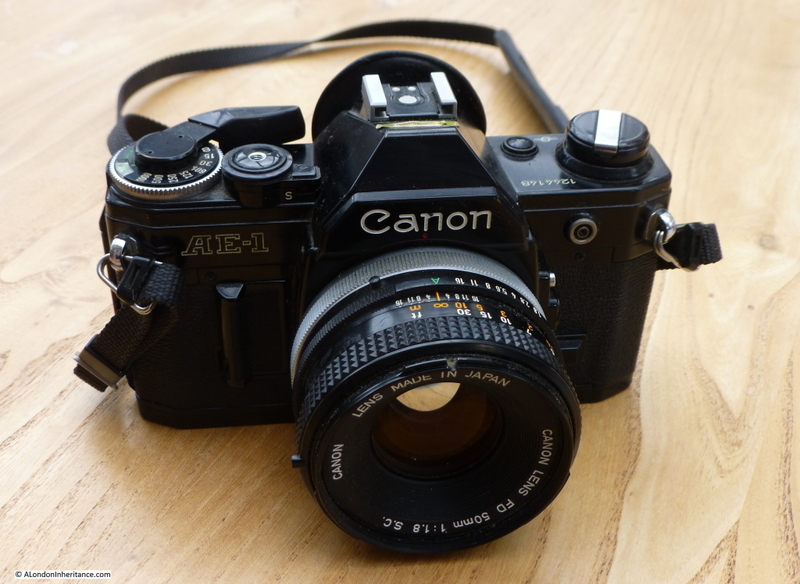 My first serious camera was a Canon AE-1 bought on hire purchase in the late 1970s when I first started working. A job on the South Bank, started in 1979, introduced me to the photos my father had taken when he showed me the printed photos he had taken of the same area just after the war and before the Royal Festival Hall and the Festival of Britain. I think it was from this point that I knew I wanted explore all the photos he had taken. I included some of these photos in last years posts here, here and here. I switched from film to digital in 2002 and now use a compact Panasonic Lumix and a Nikon D300 and hopefully soon a Leica IIIg if I can master the techniques needed to correctly set the exposure levels. Digital photography has provided significant benefits over film photography, however having been through the process of scanning these negatives, the earliest of which are almost 70 years old it does make we wonder how many of today’s digital photos will still be usable in 70 years time. Negative film can be stored cheaply in a shoe box and providing it is not exposed to extremes of heat, cold, humidity and light will last a long time. To view the original photo, it is simply a matter of shining a light through onto a receptive surface, whether photo paper, within a scanner etc. Apart from professionally archived digital photos, how many personal digital photos will survive the next 70 years? Computer hard disk failures, changes in technology etc. over the next 70 years may well mean that the majority of photos will be lost or unreadable. 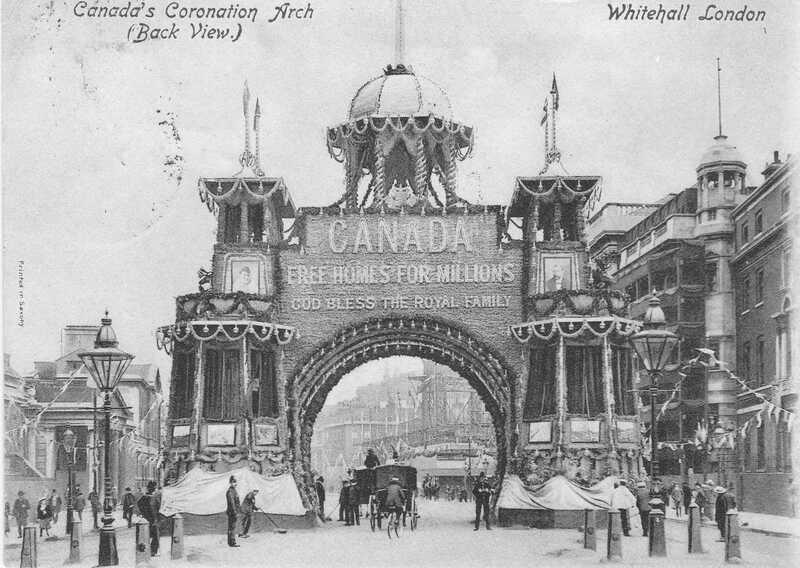 Thanks to the Internet, the photo was seen by Rachel South who identified him as her grandfather, Michael George South. Remarkably, Rachel is still following the same craft and her website can be found here. The original post is here. Much of the devastation around St. Paul’s was caused on the night of the 29th December 1940. 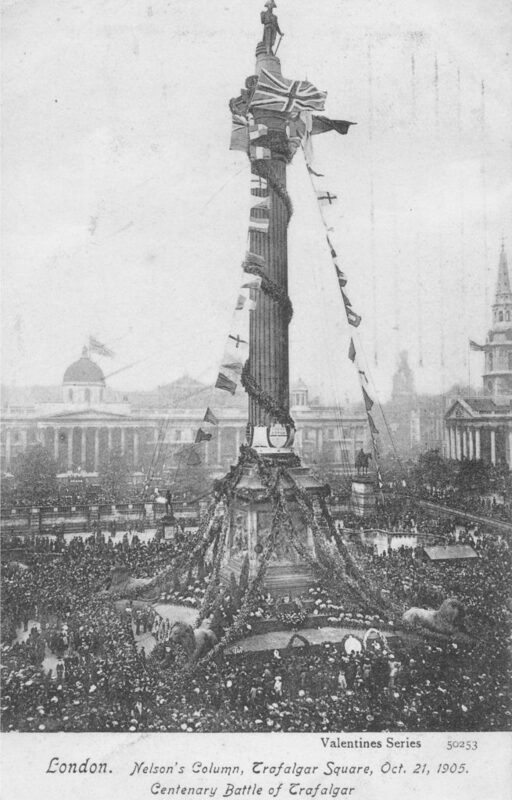 It was fascinating to research the story of the St. Paul’s Watch and the night of the 29th December for posts here and here. London continues to change. 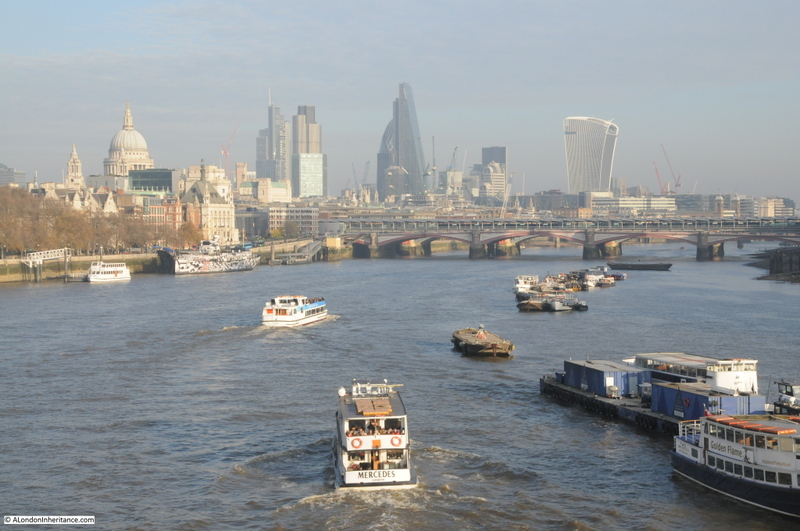 One of the major projects going through planning approvals during the year was the Garden Bridge. This will have a dramatic impact on the Thames and surrounding areas. I gave my thoughts on this in a post in December which can be found here. So looking forward to the second year, I have many more places to explore and research. I plan to extend the range a bit further. My father took a river trip from Westminster to Greenwich and there are a whole sequence for photos showing the old docks and wharfs along the river as they were in the early 1950s. 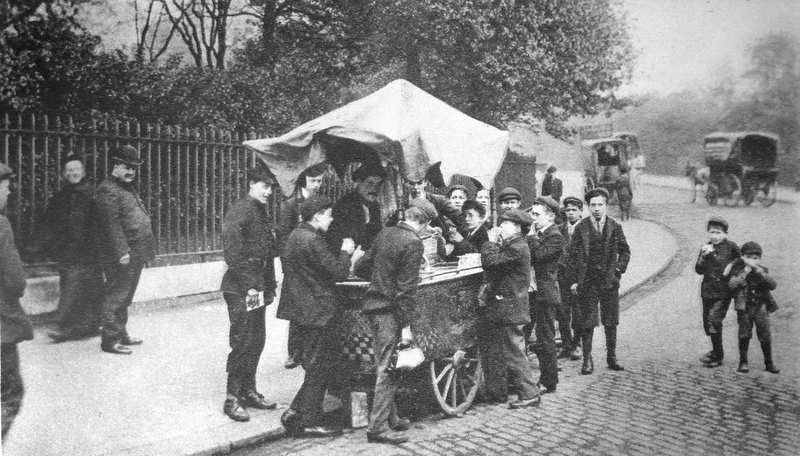 Also a series of photos of Hampstead will require a couple of visits to hunt down all the locations from these original photos. 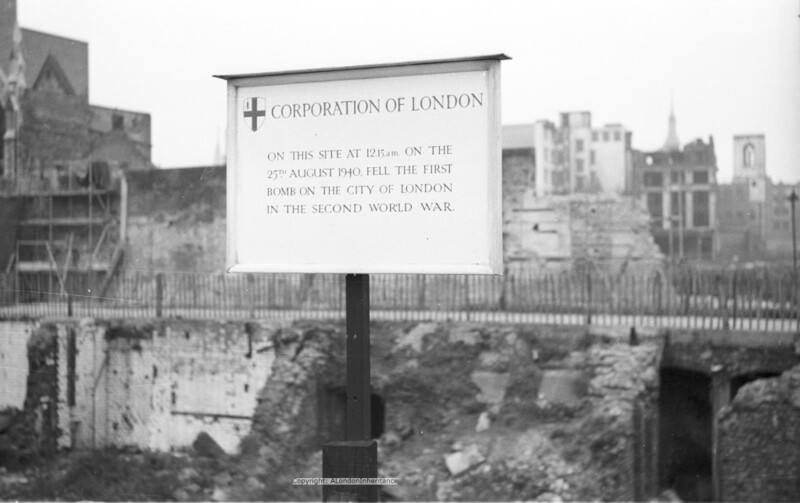 Again, my thanks for your interest in the blog, and if you see someone in the coming year on the streets of London trying to work out how to take a photo with an old light meter and camera, that will be me with the Leica IIIg. 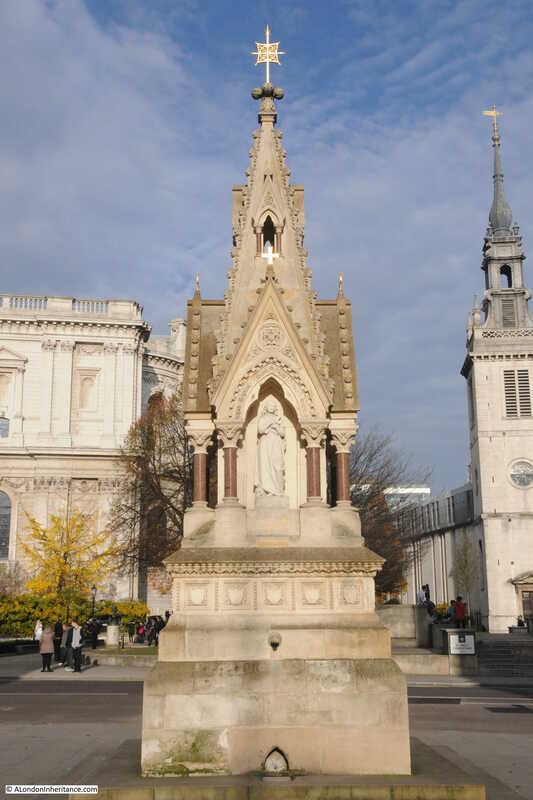 This entry was posted in London Photography and tagged Leica, London Photography, River Thames, St. Paul's Cathedral on February 22, 2015 by admin.